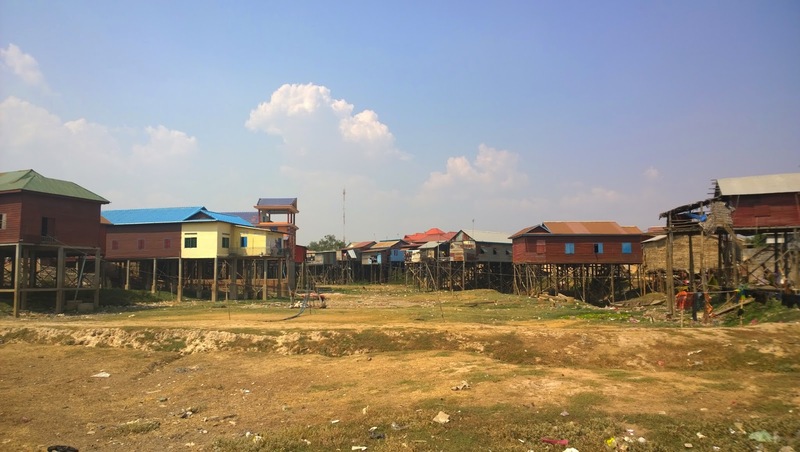 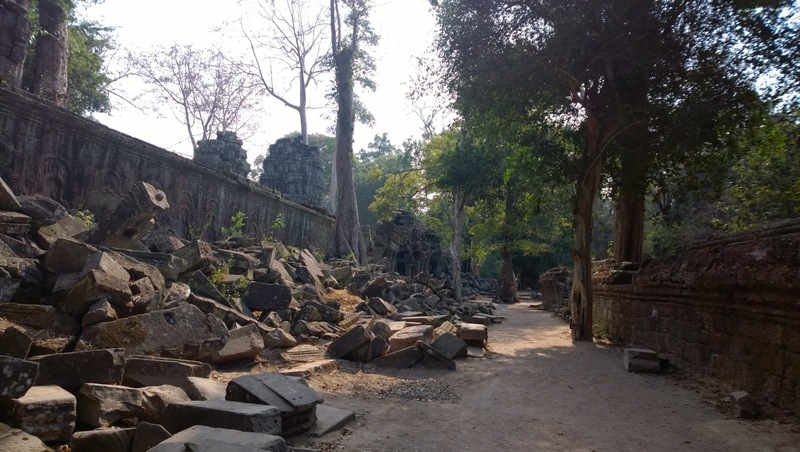 Sorry for being slow, but it's more fun to travel than writing :p Also, I'm lazy, anyhow, here's the update for Cambodia and Vietnam. 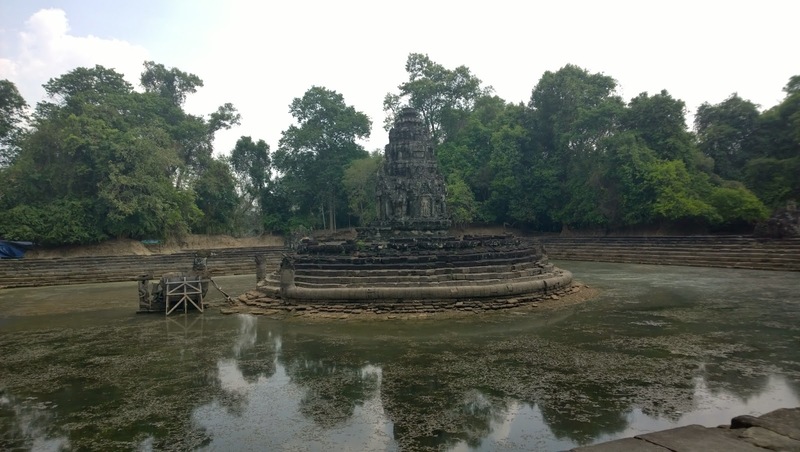 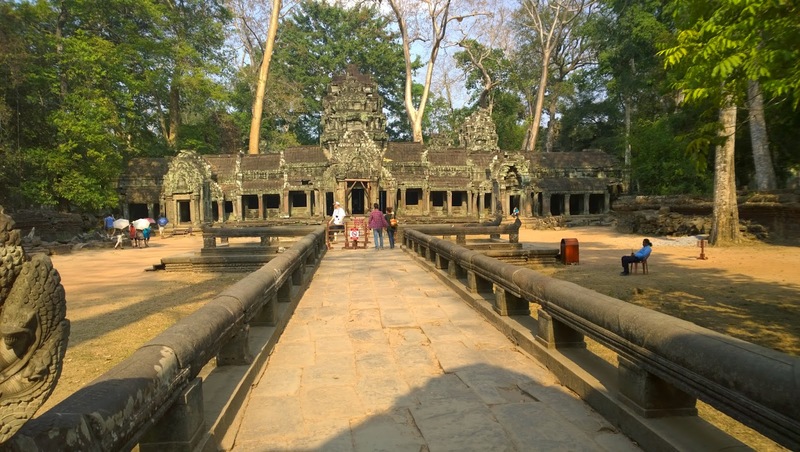 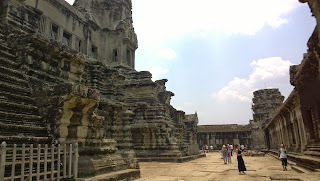 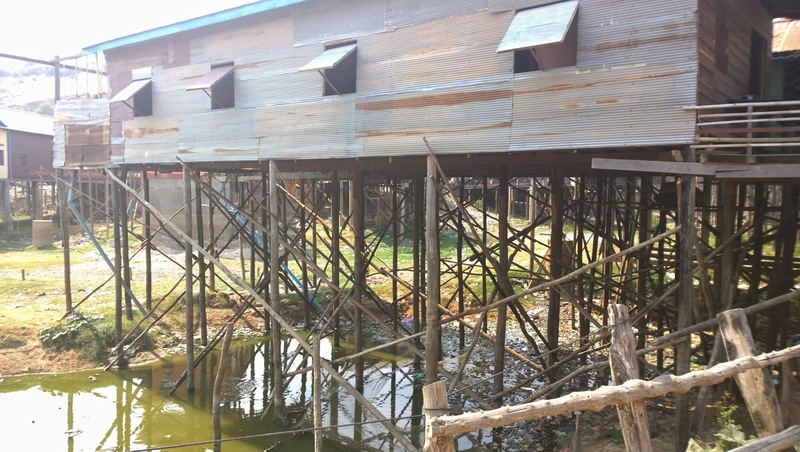 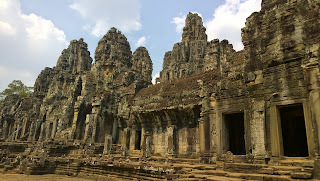 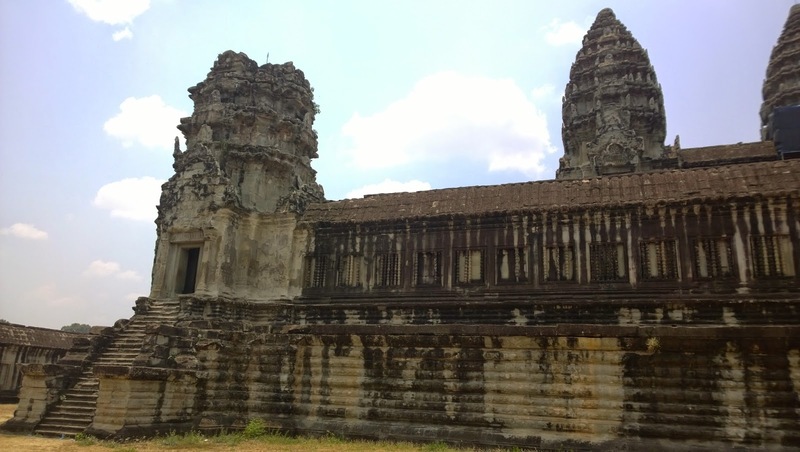 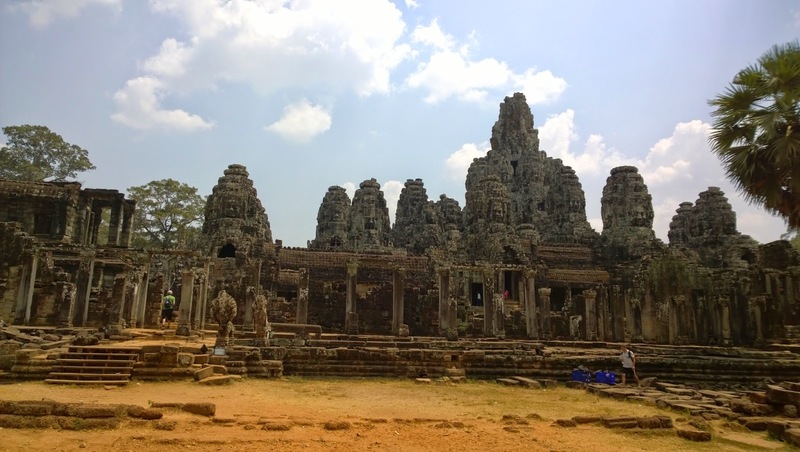 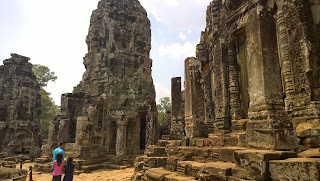 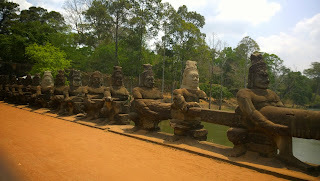 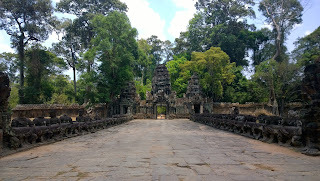 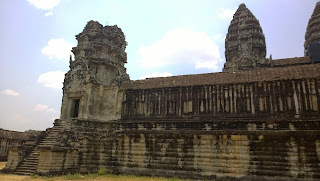 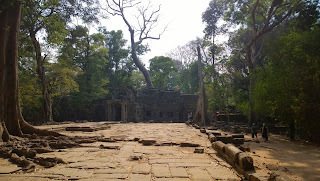 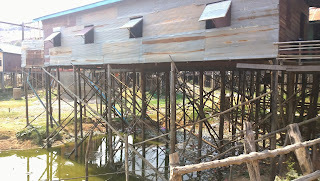 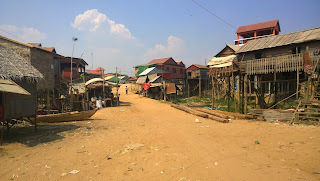 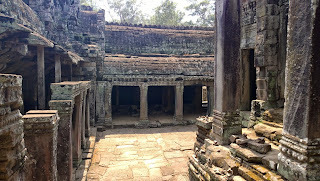 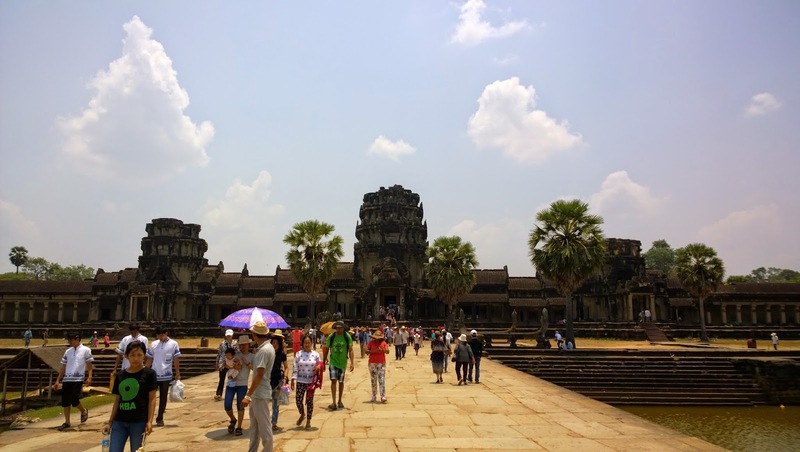 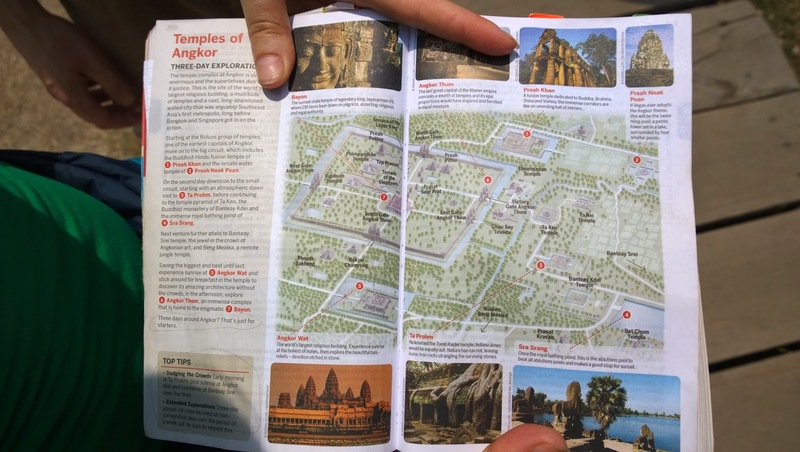 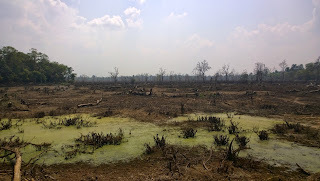 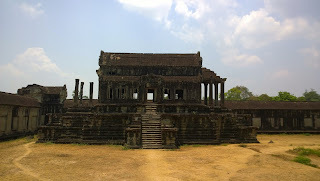 So yeah, Cambodia, temples temples and temples, really nice place though. 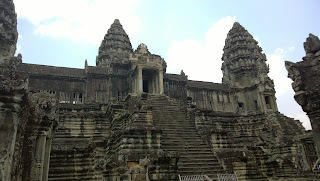 And I mean, Angkor Wat, just one of those things you have to see! 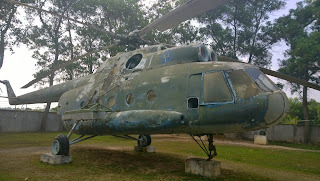 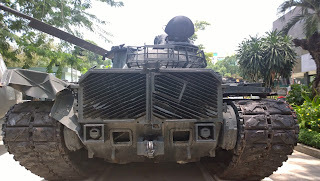 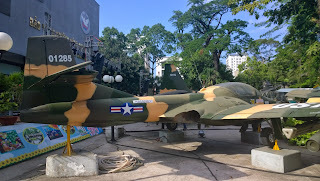 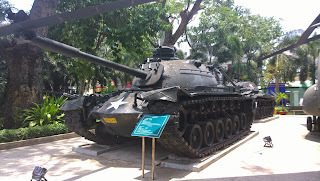 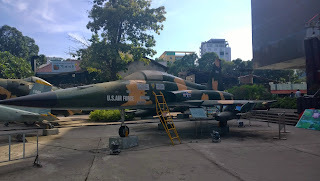 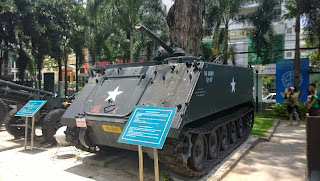 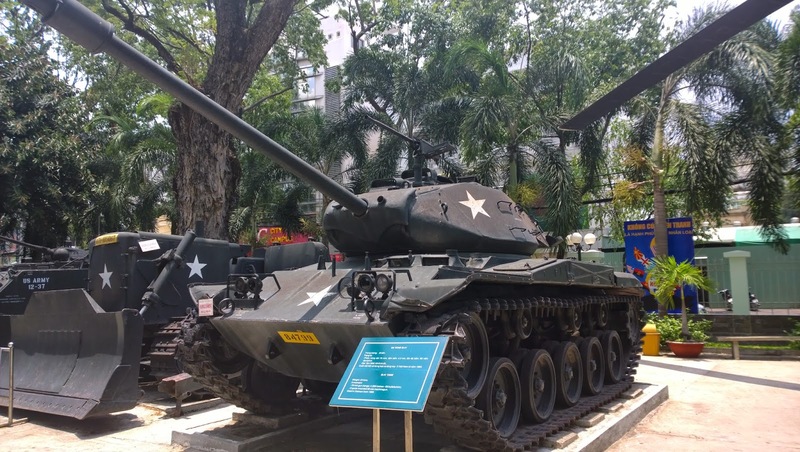 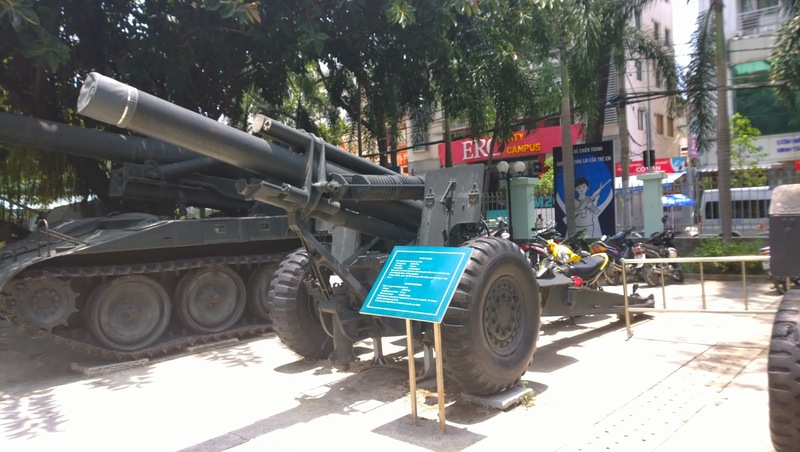 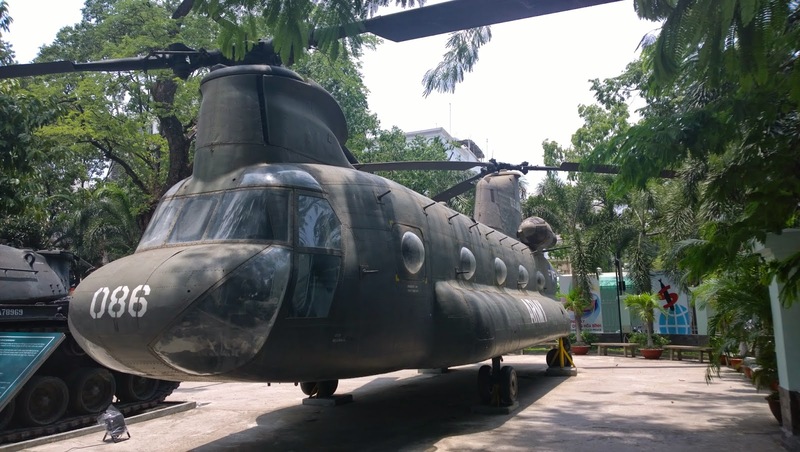 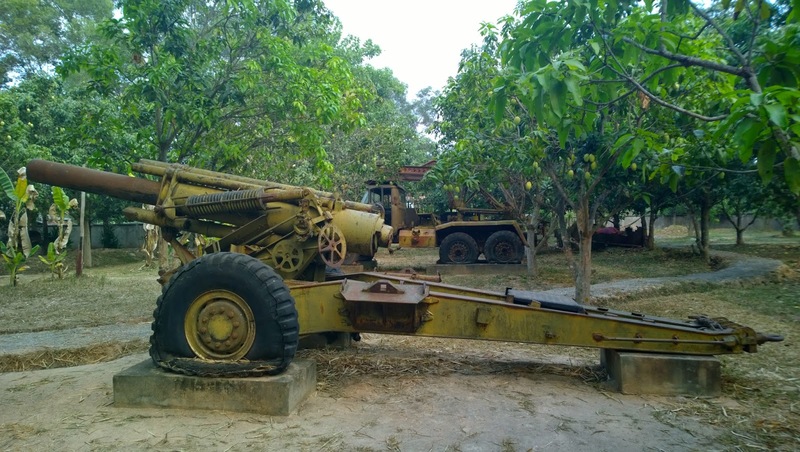 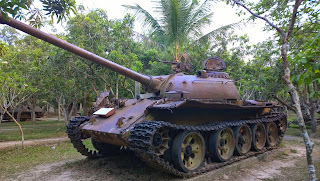 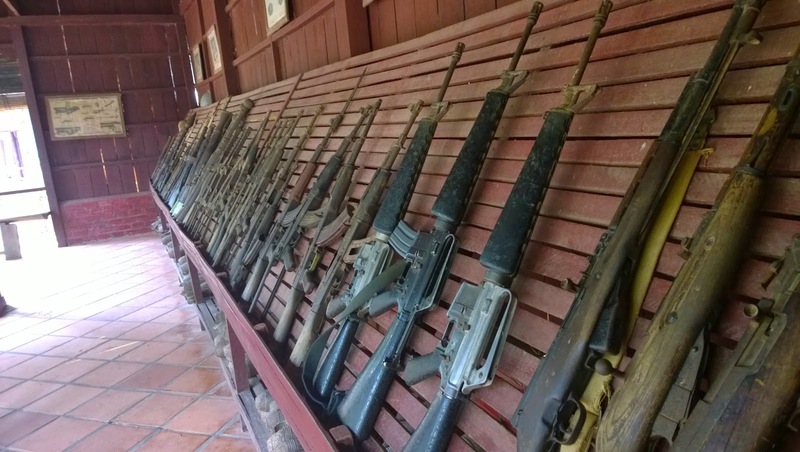 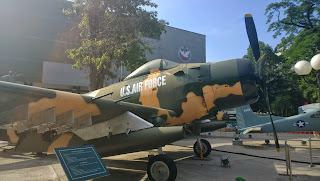 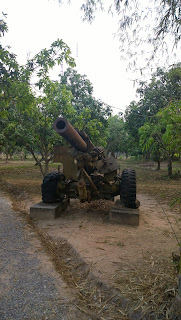 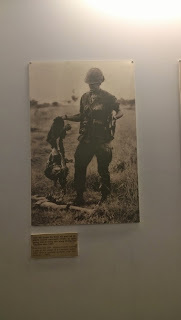 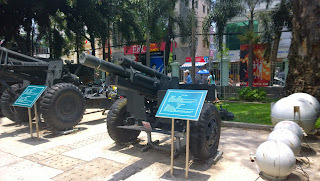 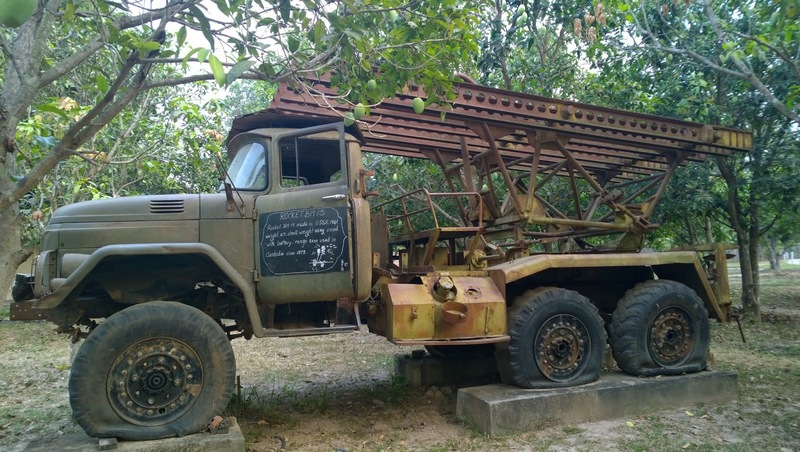 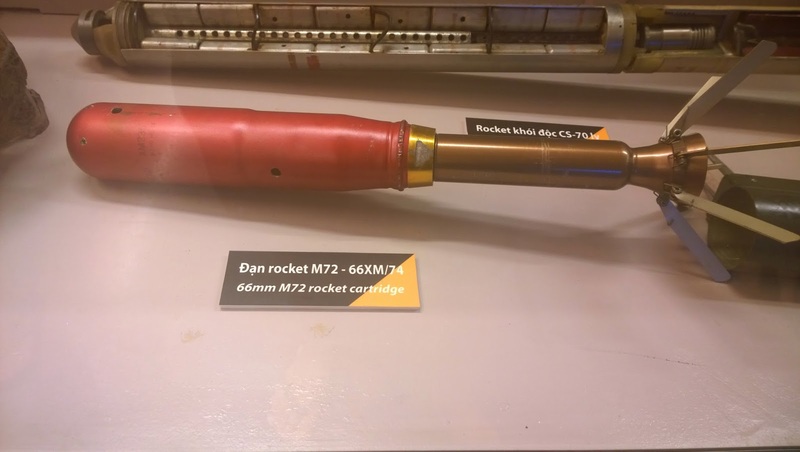 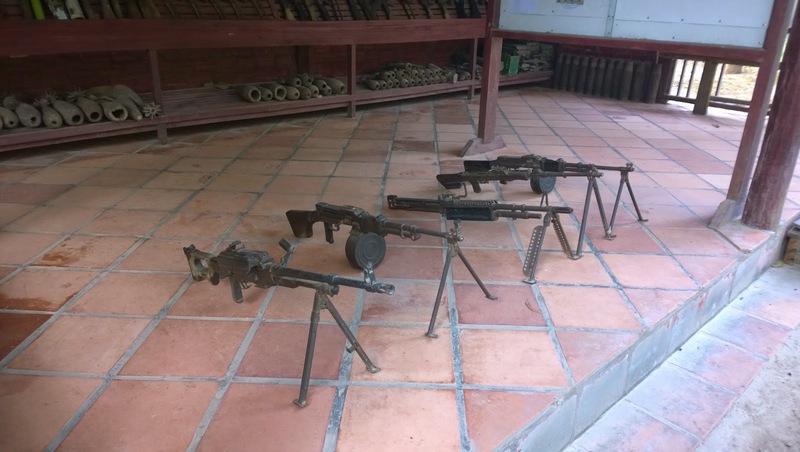 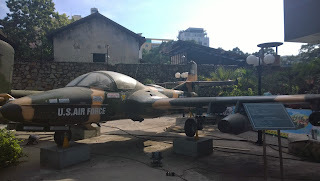 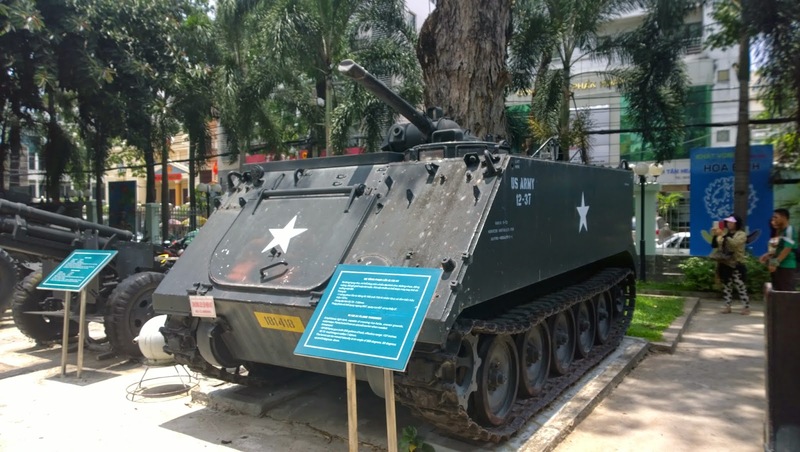 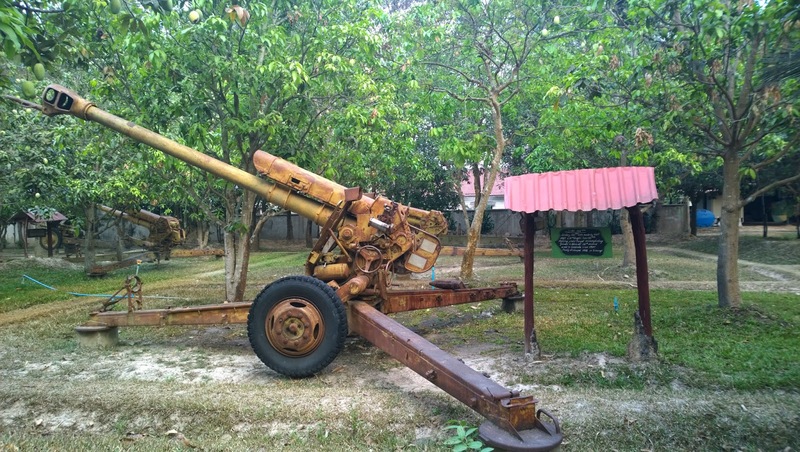 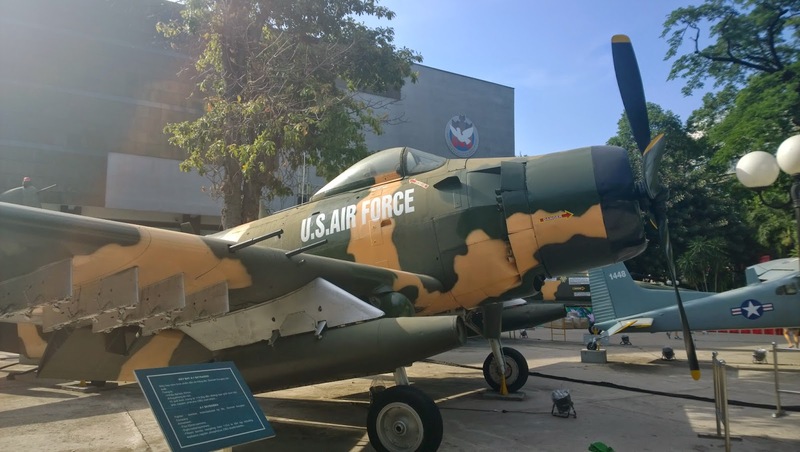 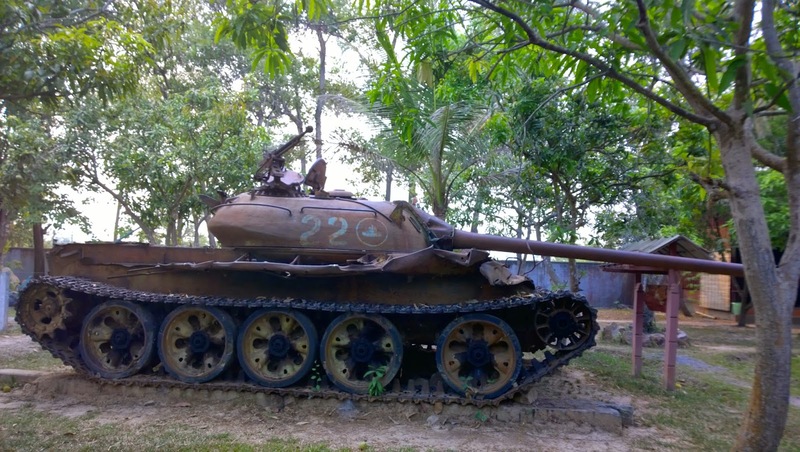 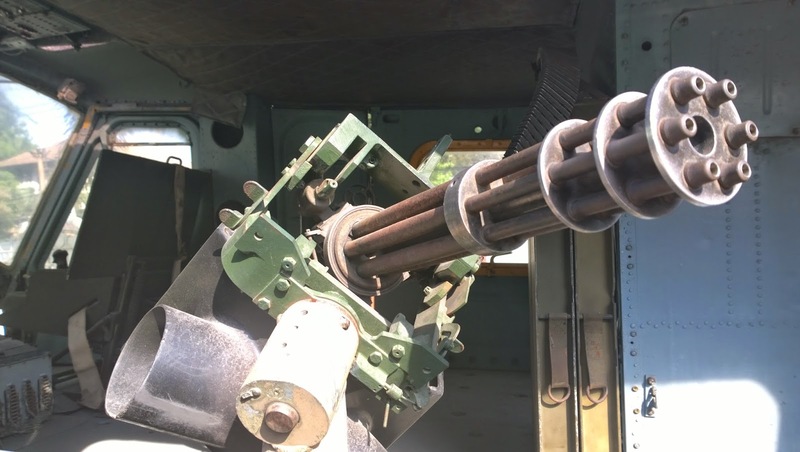 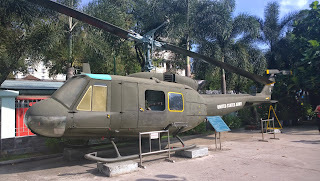 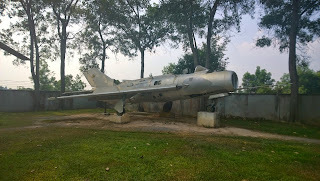 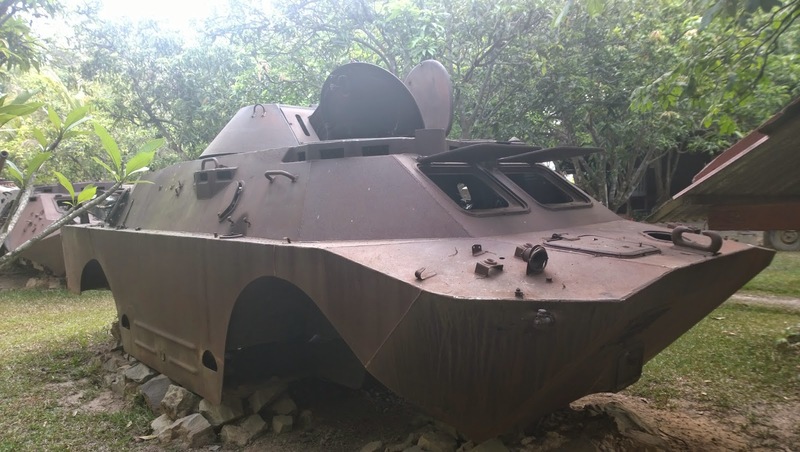 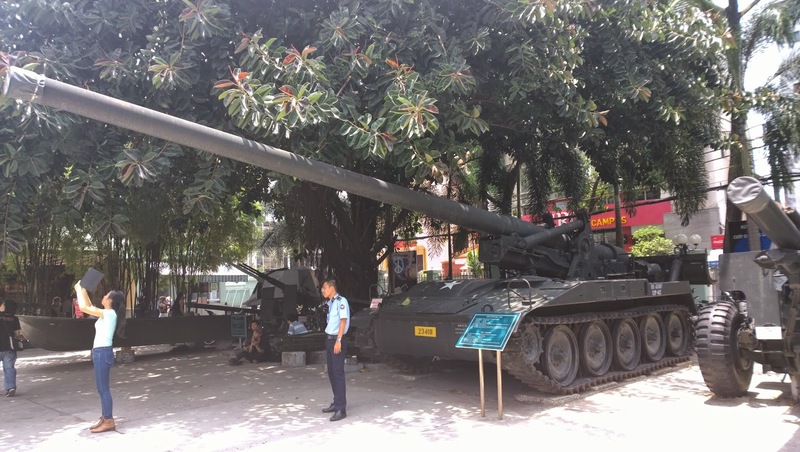 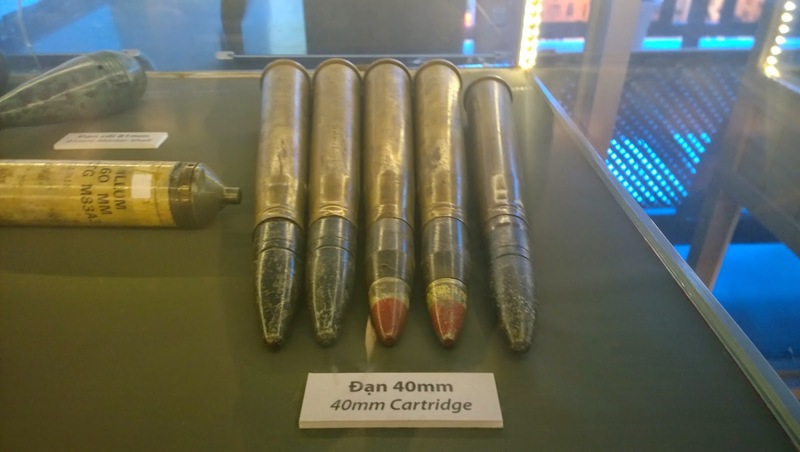 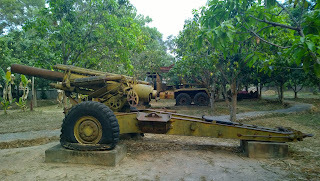 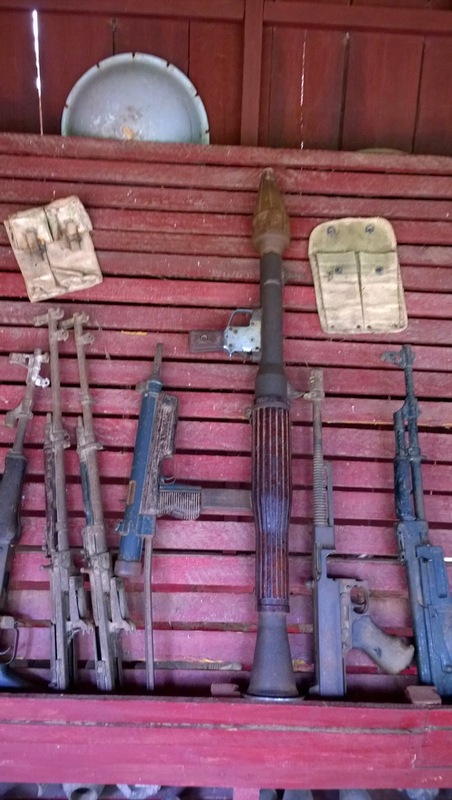 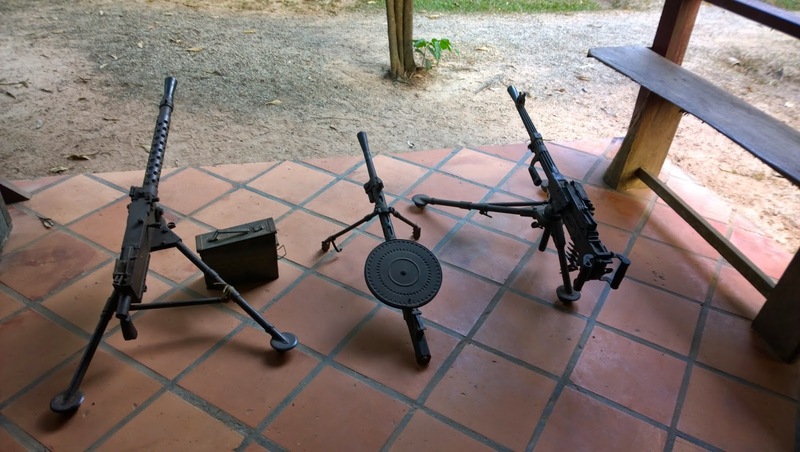 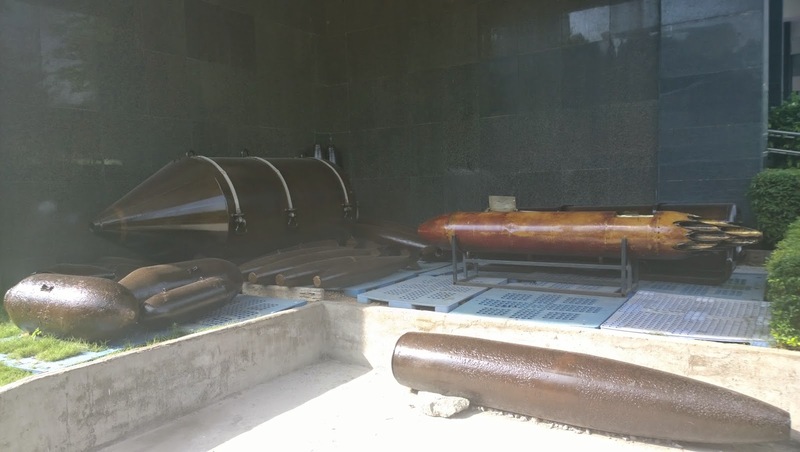 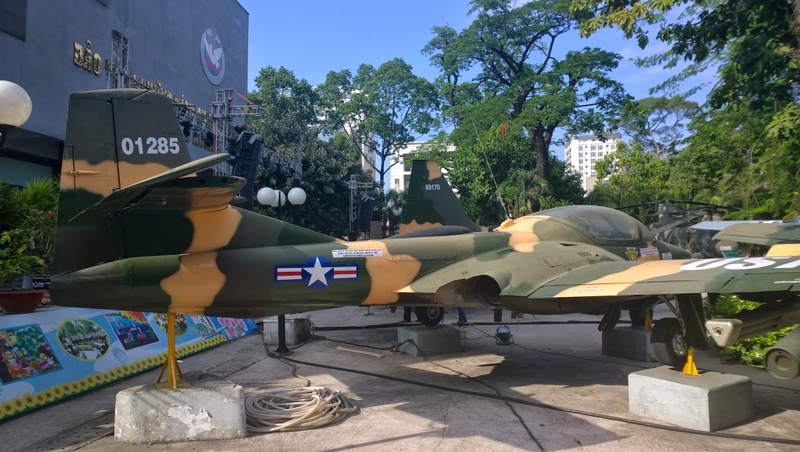 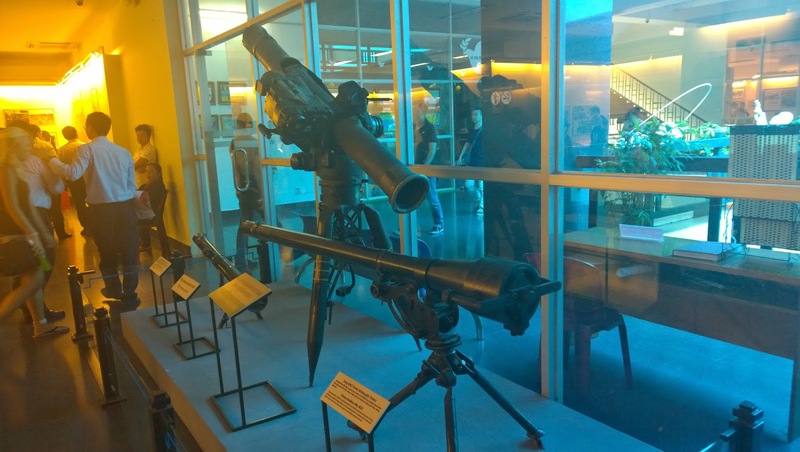 This update features a lot of pictures of different armaments, and pictures from the different wars fought in Cambodia and Vietnam, some of them are QUITE graphic, we are talking blood and guts, mutilation etc. 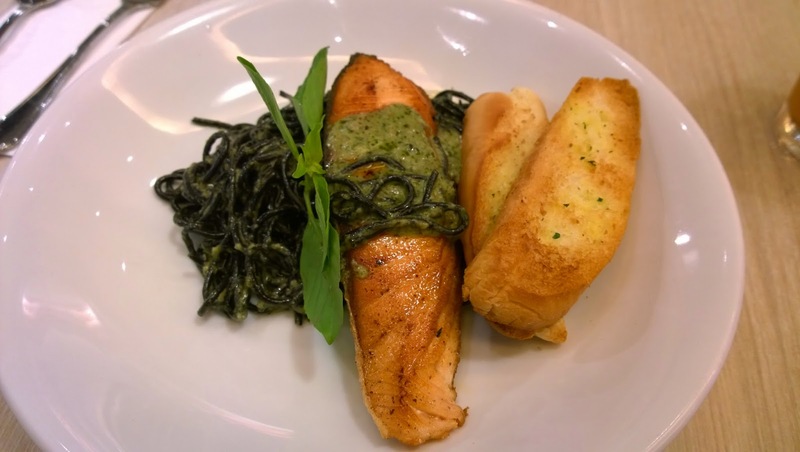 Had a really nice meal on the airport actually, salmon in pesto sauce with black spaghetti, never seen that before. 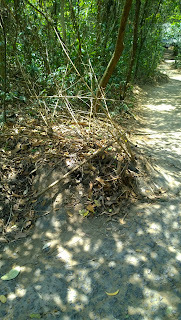 Anyhow, onwards. 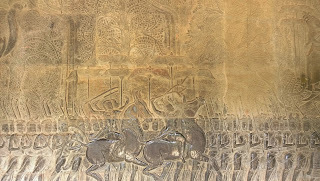 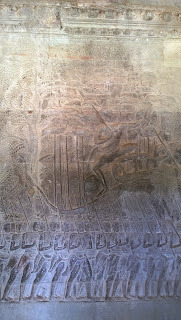 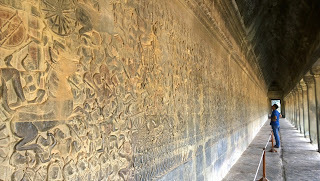 A lot of murals and decorations all along the outer walls of the temple. 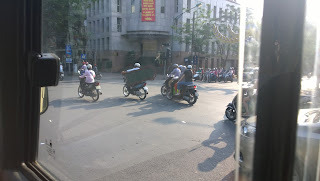 These guys are generals, the more umbrellas you have, the more powerful you were. 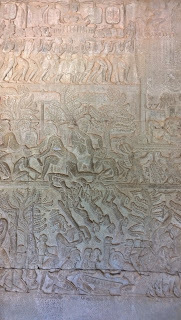 This depicts the different layers of hell and in the one below you can see the breach between the layers. 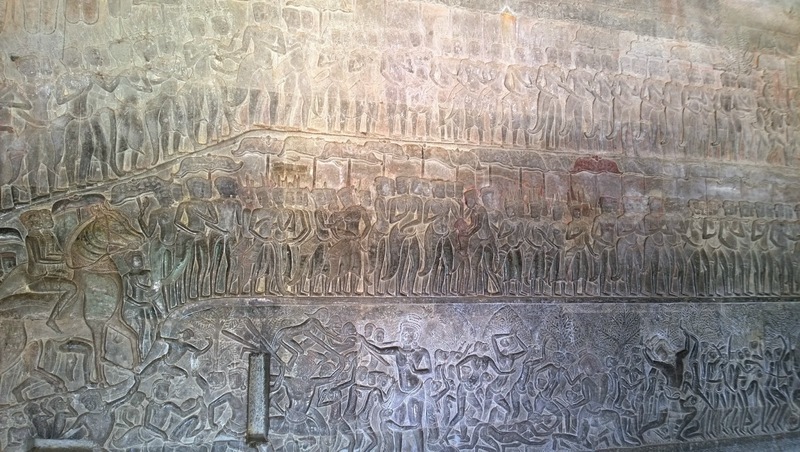 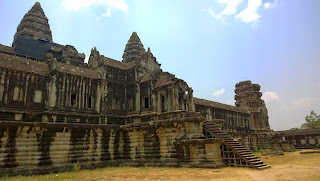 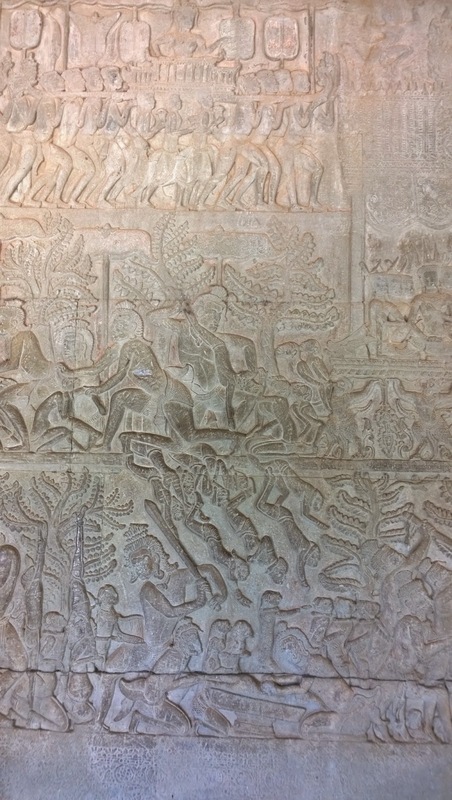 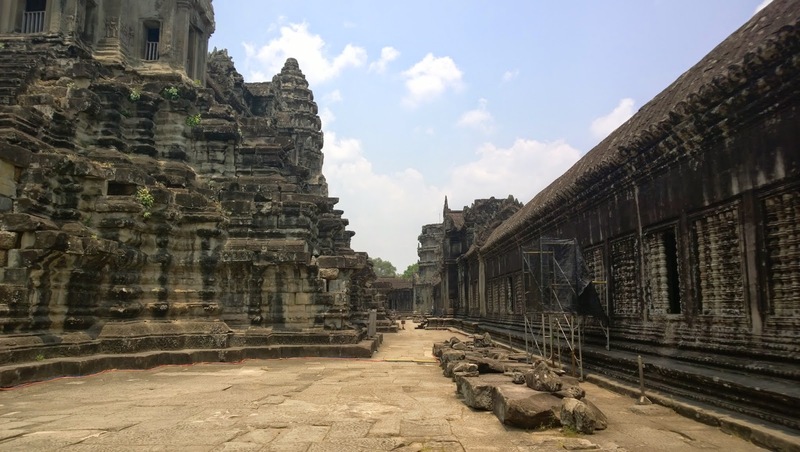 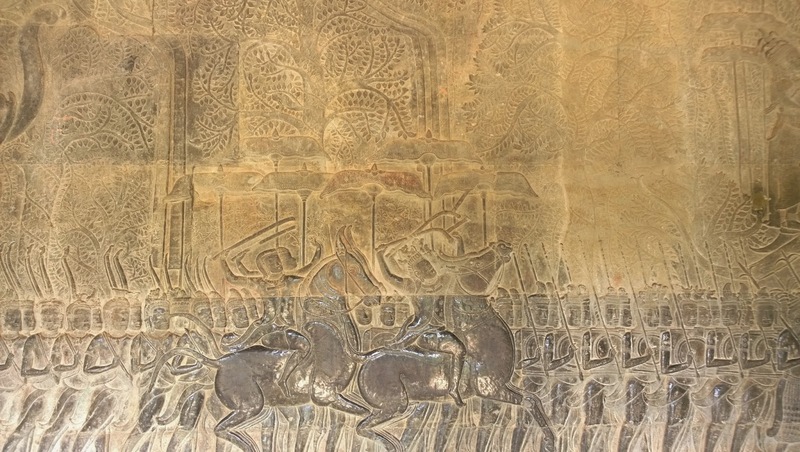 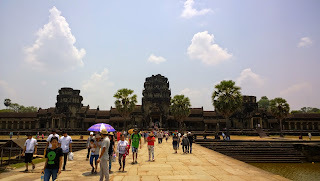 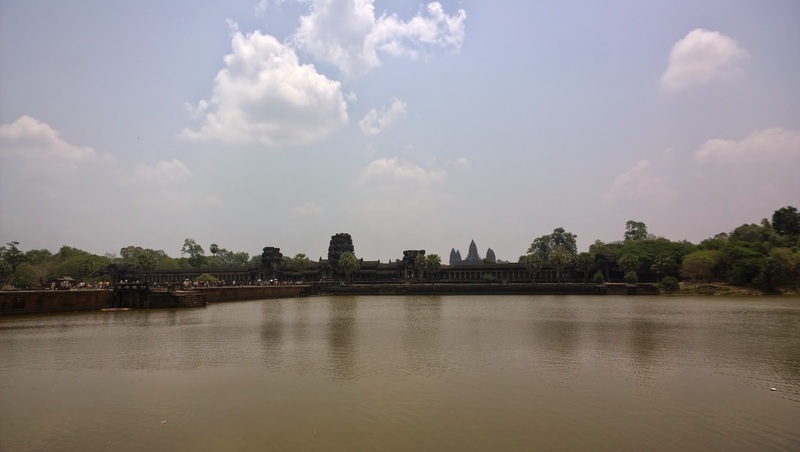 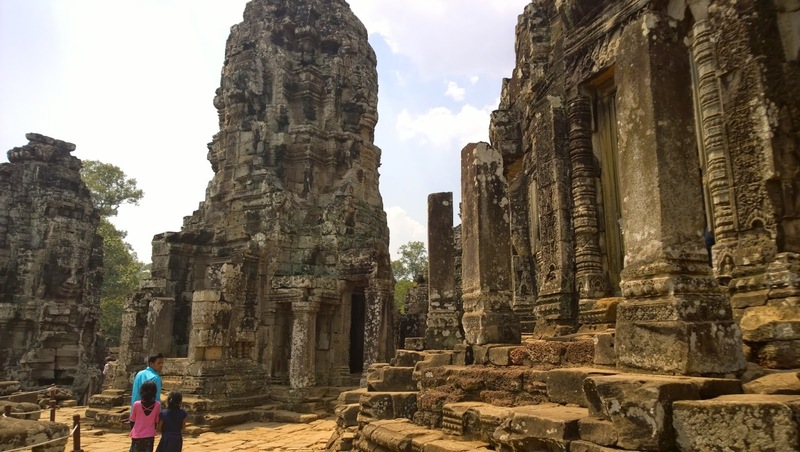 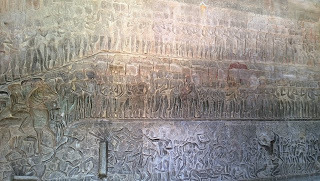 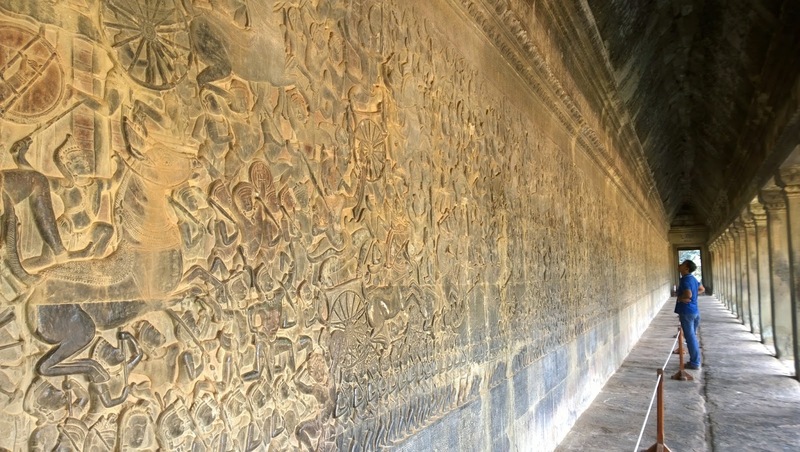 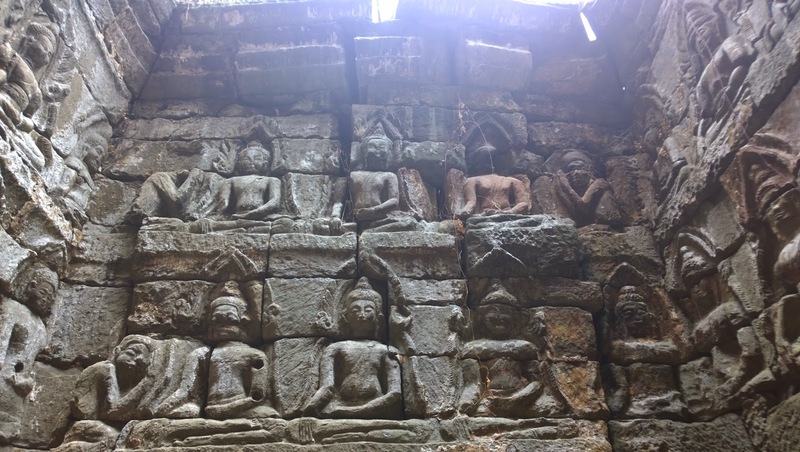 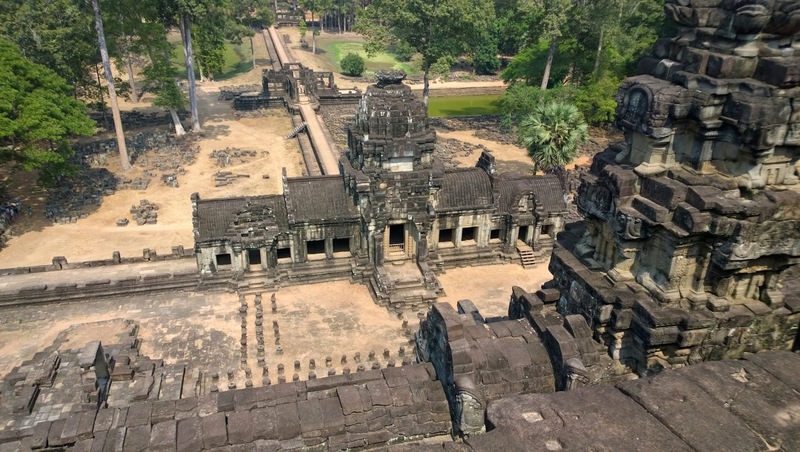 Video from the upper levels of Angkor Wat. This temple is famous for its large faces, see below! 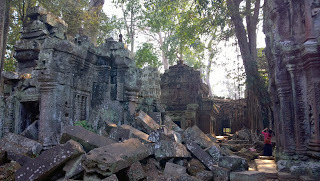 It is a bit of a ruin though. 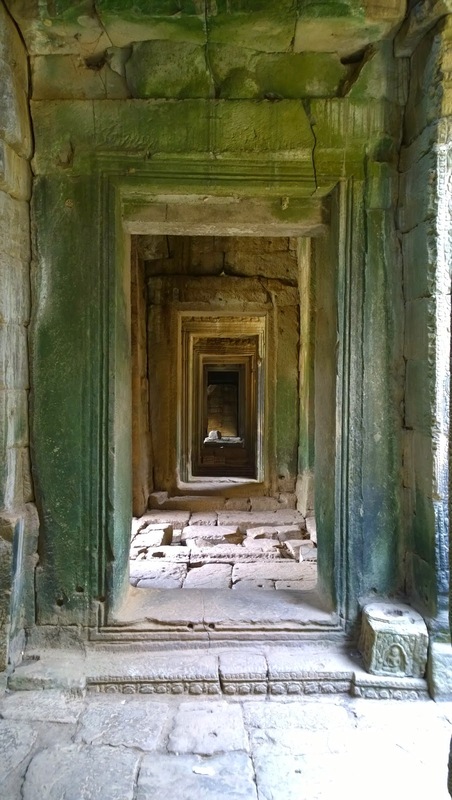 Some really nice details going around on the different door frames. 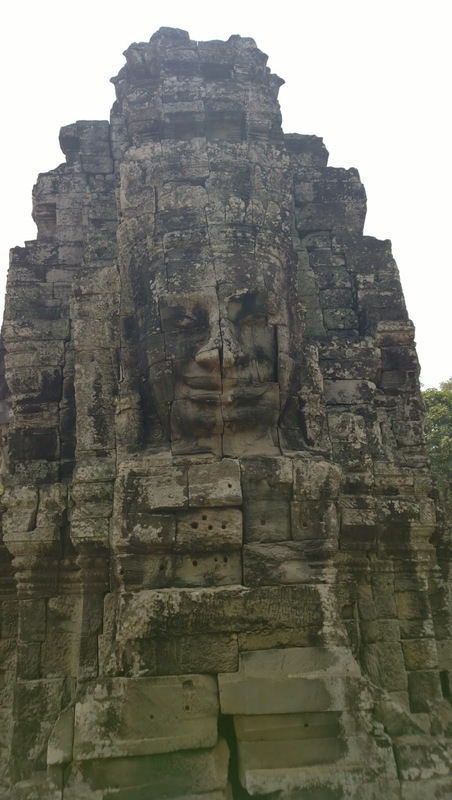 These are the faces that is popping up everywhere in this temple. 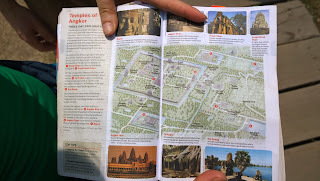 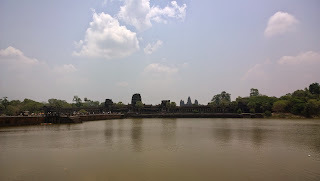 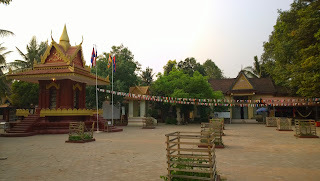 Other random temples and sites. 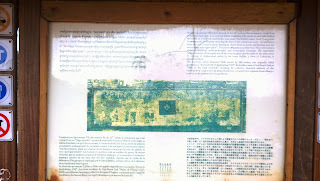 So what this says is that the place you see beneath in a man made island 350m x 350m in a 300m by 900m reservoir. Local fishermen in the reservoir. The actual shrine/temple. Doesn't look that inviting to swim though. 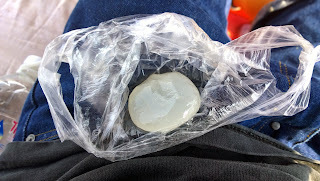 The tuktuk driver stopped and got me palm fruit, quite juicy and good! 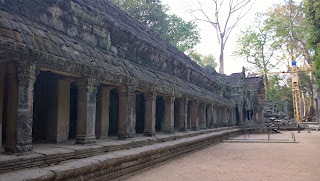 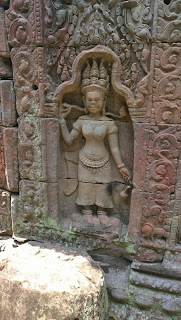 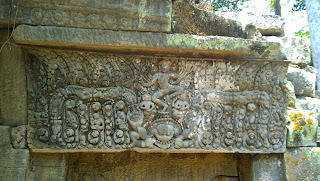 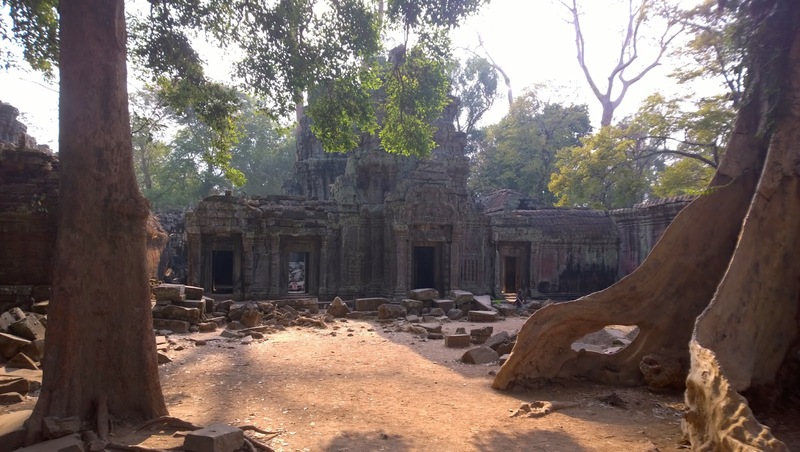 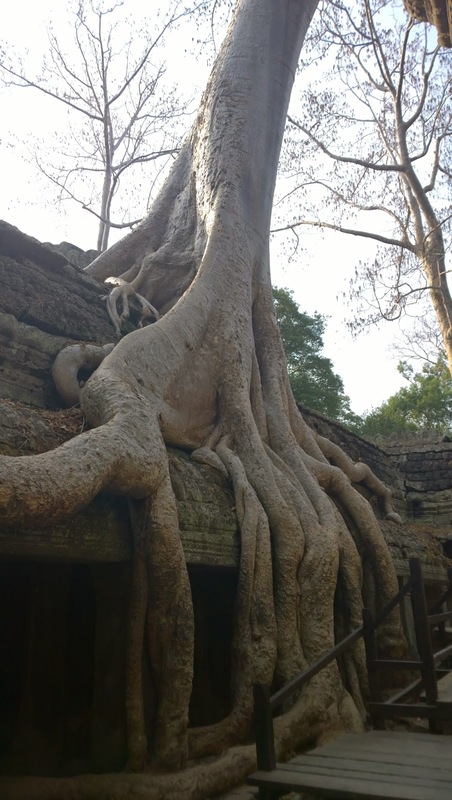 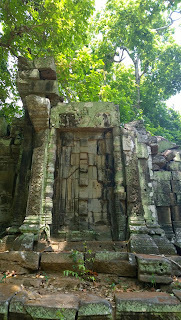 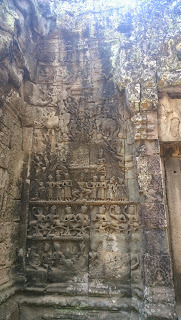 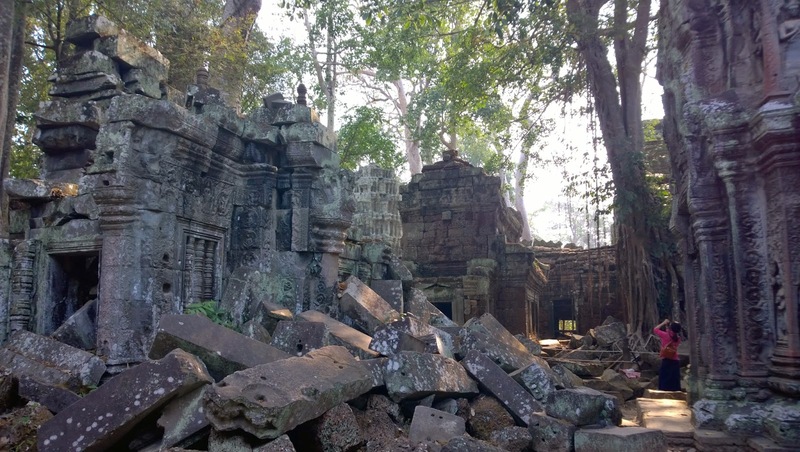 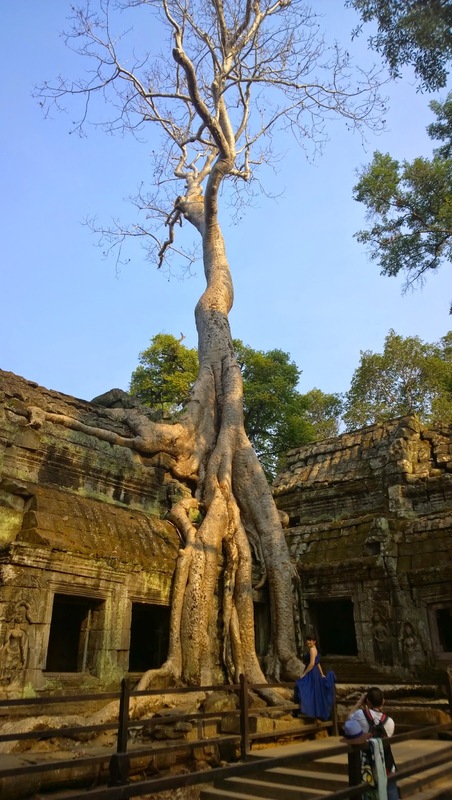 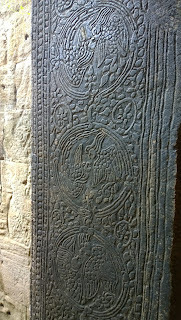 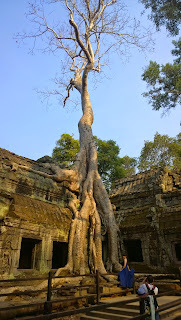 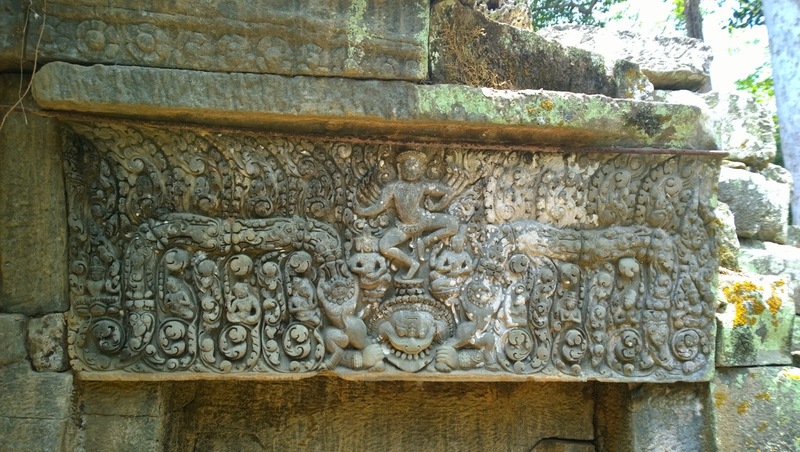 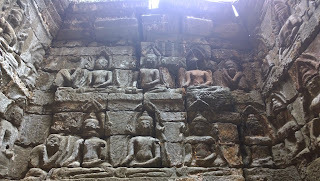 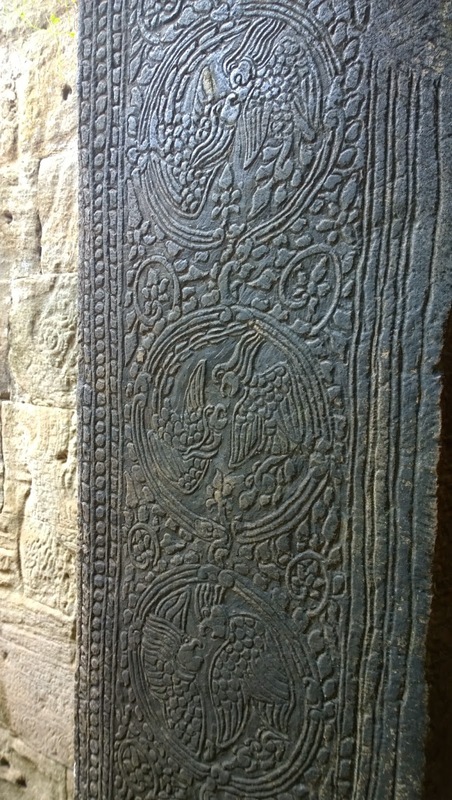 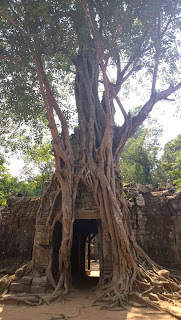 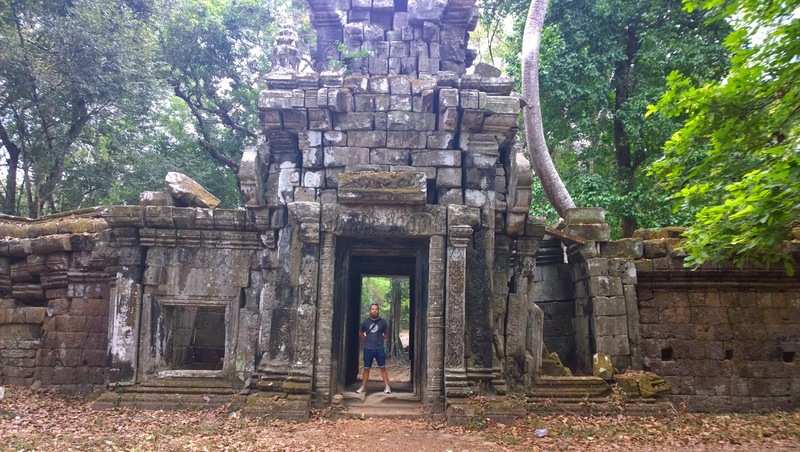 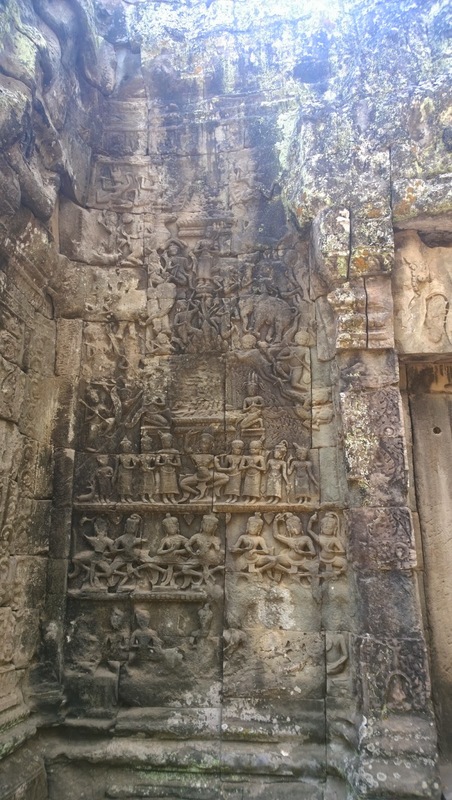 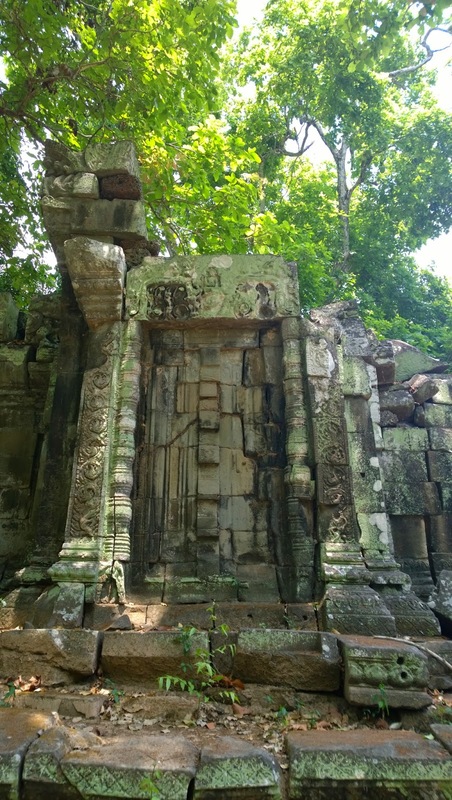 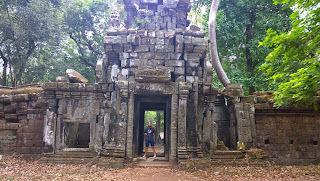 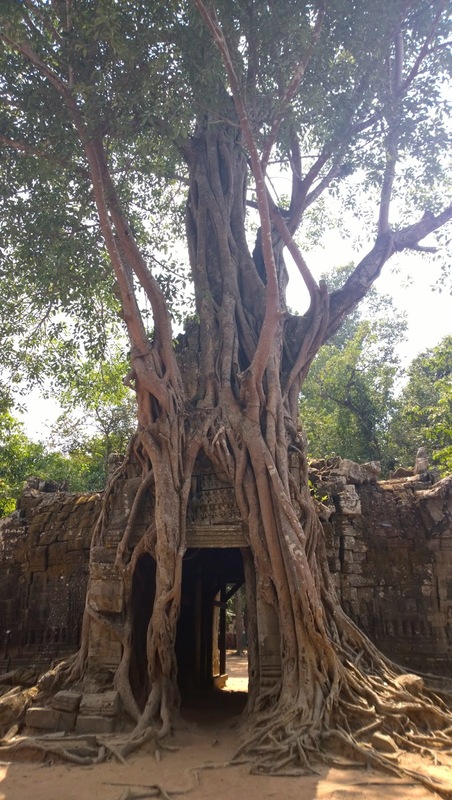 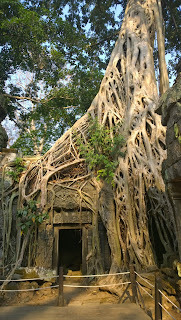 Ta Prohm, the jungle temple, or the Tomb Raider temple. 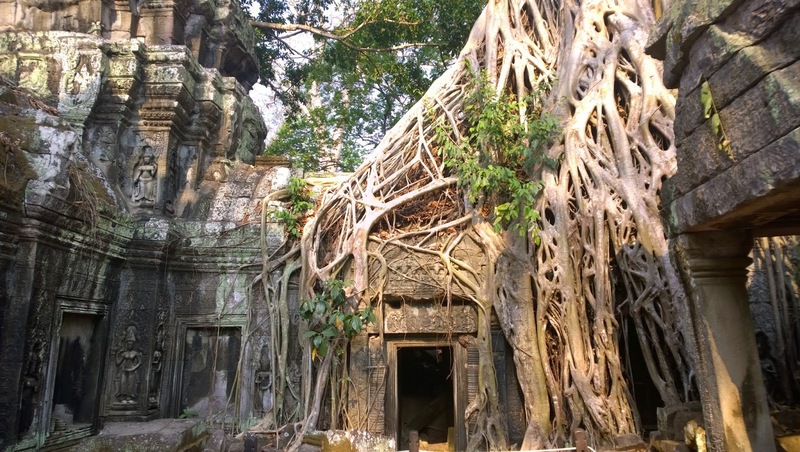 This temple was used on the movie set for Tomb Raider with Angelina Jolie, and, I mean, it is fun to walk around and recognize some of the places! 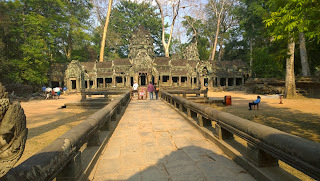 So the special thing about this temple is that it is on only one level compared to the others that are created with several levels. 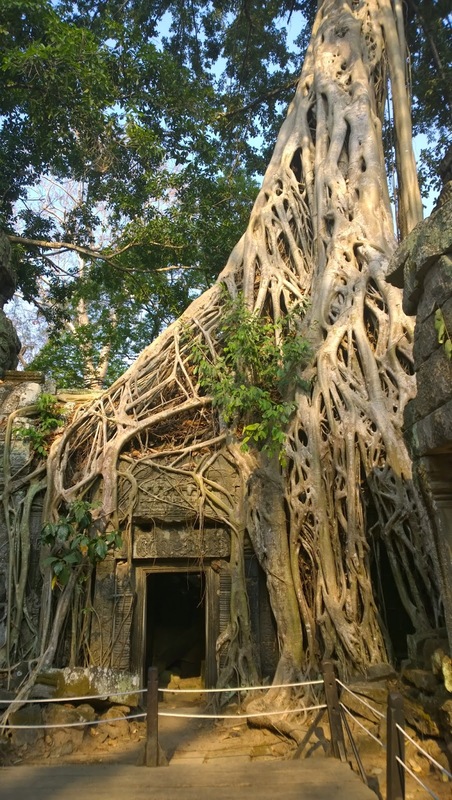 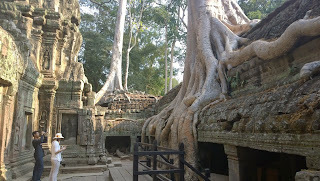 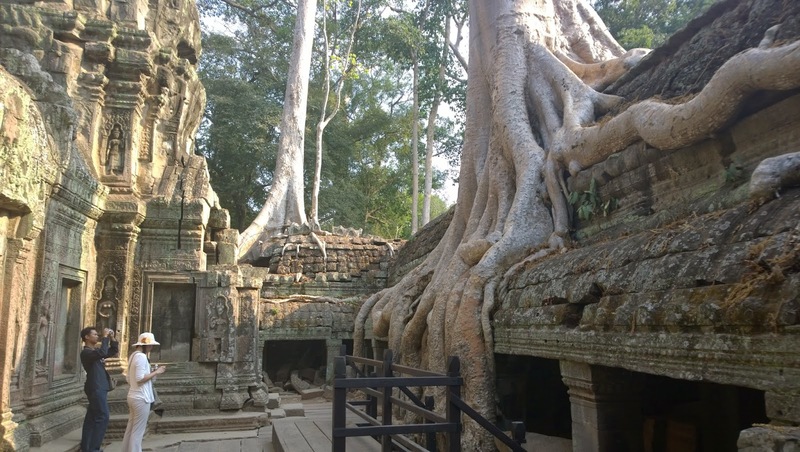 It is also a bit overgrown, so you got trees growing in the middle of the temple on top of the ruins etc, it's beautiful! 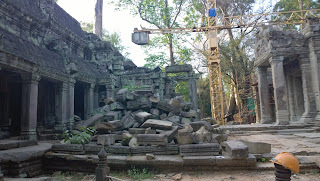 They are doing some renovation, hence the crane in the middle of the ruins. 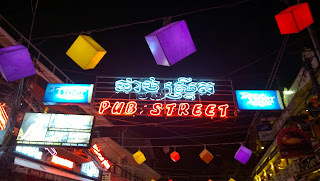 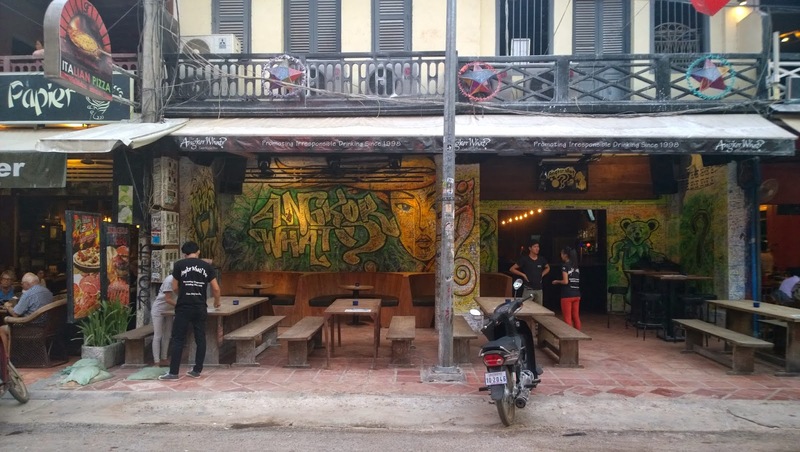 So yeah, this is one of the more famous places in Siem Reap, I guess you can figure out what you find in a street called Pub street. 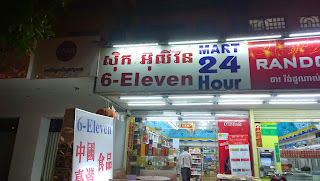 7-11 got a new fierce competitor! 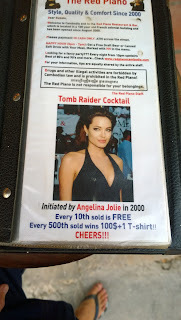 This is still a big thing apparently! 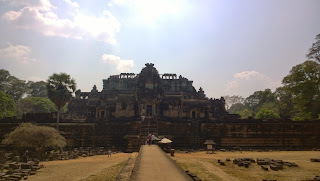 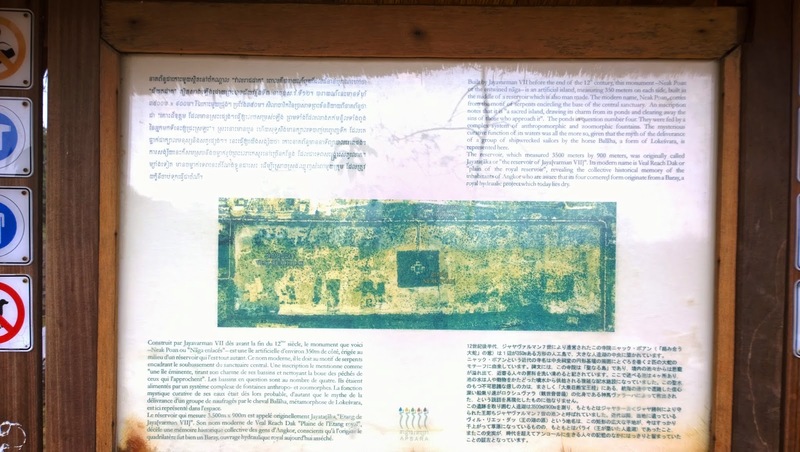 Angkor What? 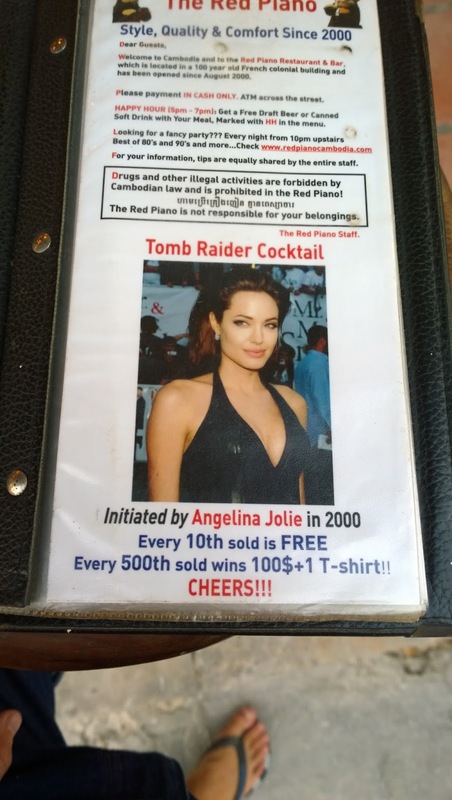 One popular local bar! 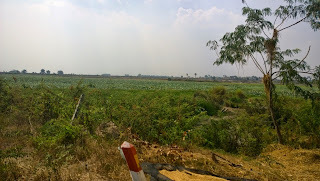 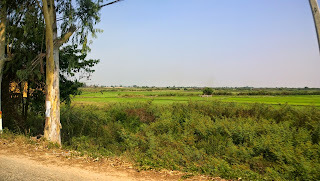 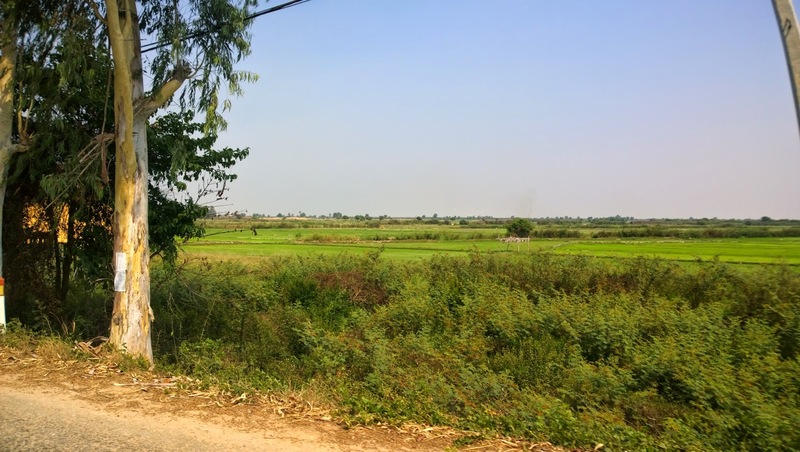 I did a day of sightseeing out in the country side, saw lotus fields, rice fields and a local village down by the lake. 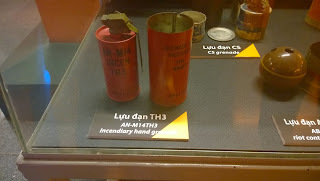 That was veeeeeeery low at the time. 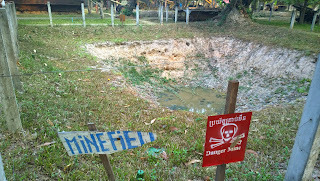 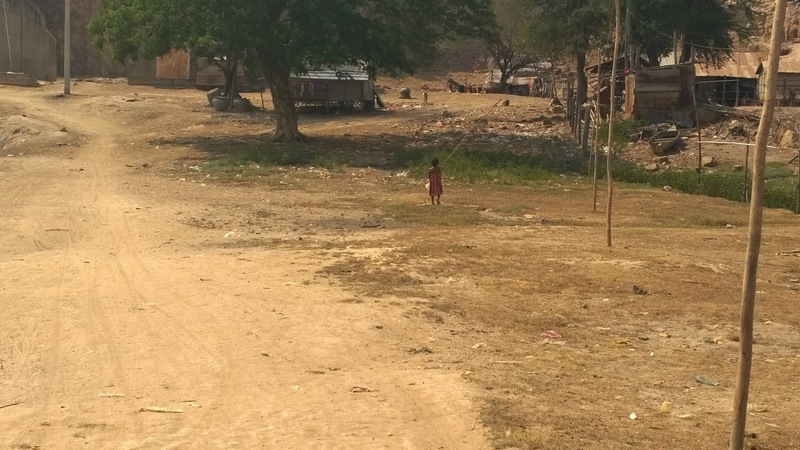 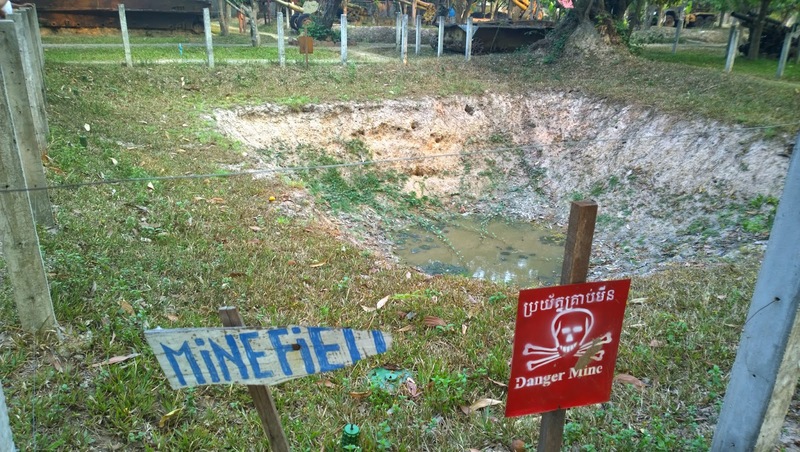 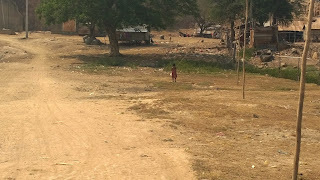 They put land mines around watering holes to get as many people as possible. The guides showing is around are veterans with disabilities, legs blown off by mines etc. 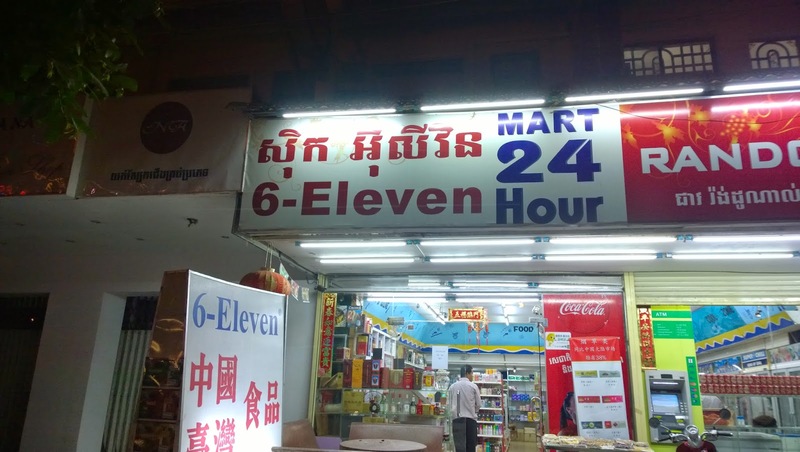 Quite bad. 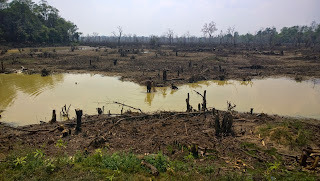 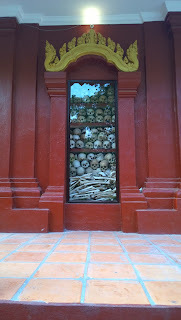 Sieam Reap also have a killing field, or more like a square I guess. 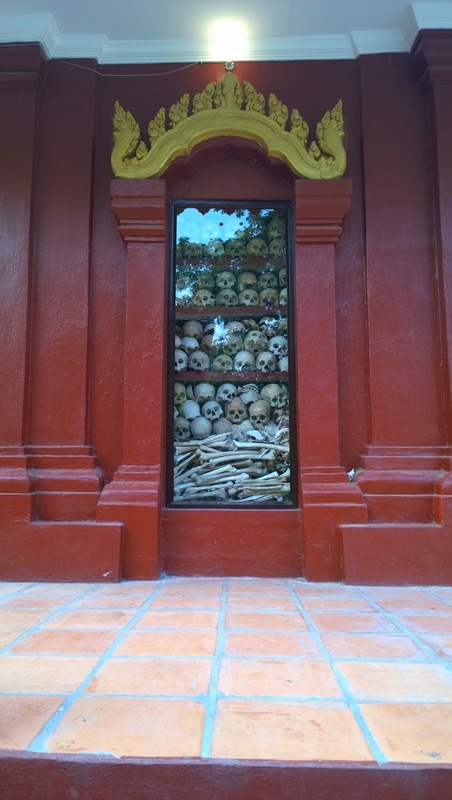 So it has a building filled with skulls and human bones. 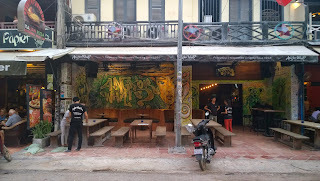 I stayed at a hostel where the host is Japanese, so basically me and a lot of Japanese people, and some of the spoke as good English as I speak Japanese, so yeah, communicating was challenging at times. 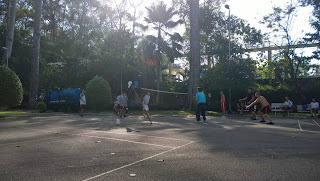 I did meet some really cool people though that invited me to stay at their place when I got to Japan! 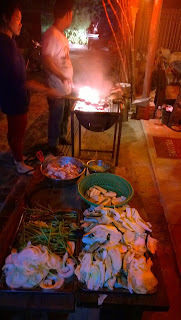 The hostel had a all you can eat bbq with a beer for like 6 dollars one night, it was amazing! So yeah, just in case you didn't get enough of war machines in the previous section, here you have a few more in better condition, these are from the US, while the previous ones were mostly Russian or Chinese. 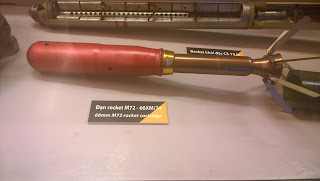 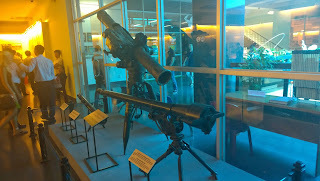 From the inside of the museum. Ps. 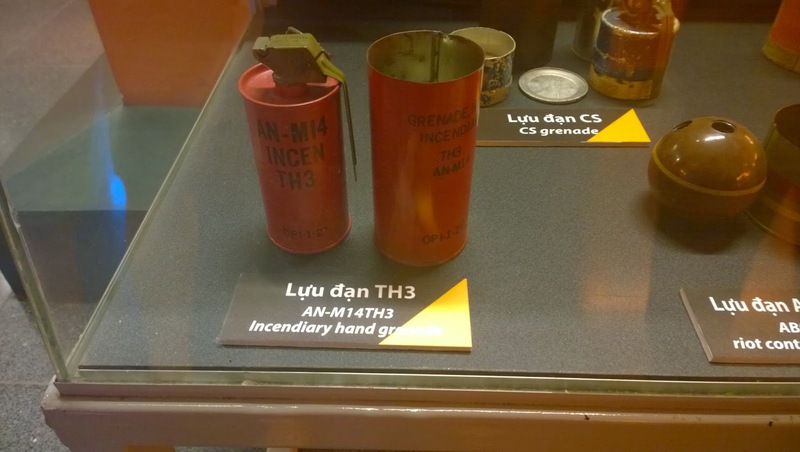 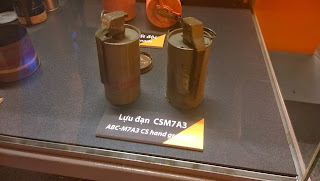 now we are getting to the more graphic parts of the update, after math of grenade launchers, mines, agent orange etc. 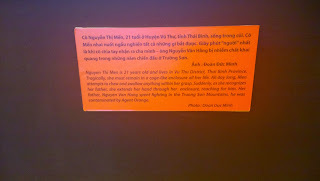 Yeah, the description says it all. 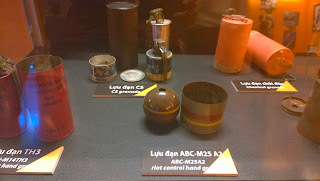 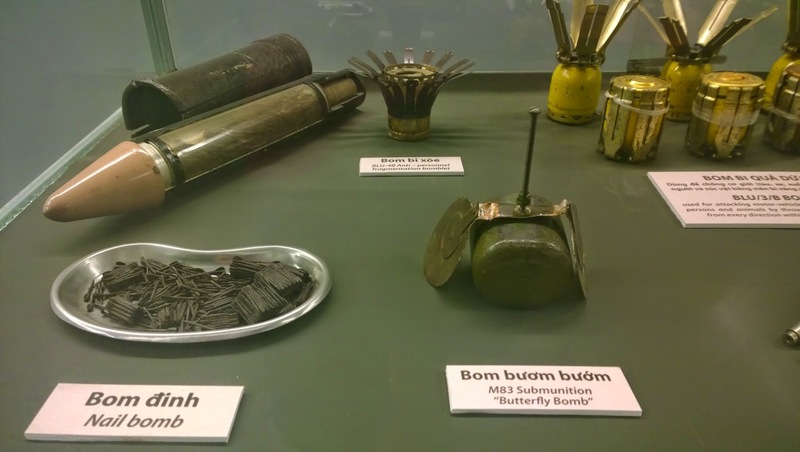 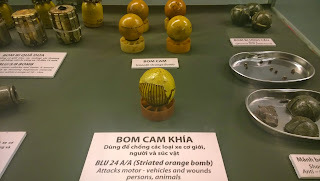 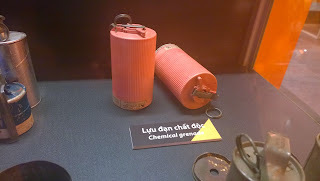 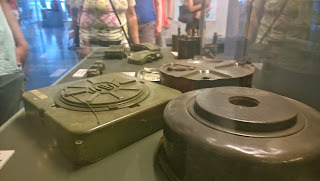 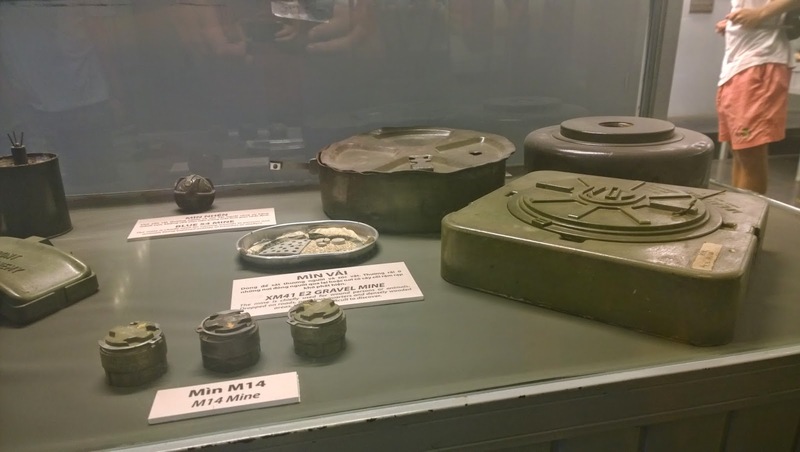 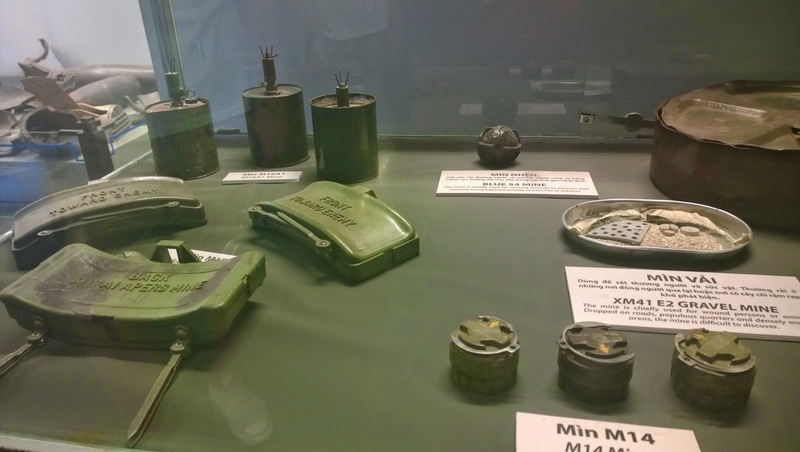 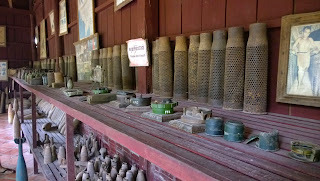 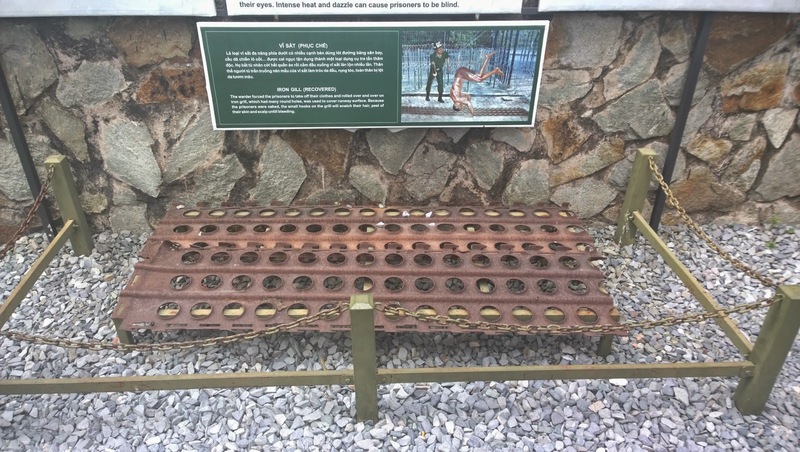 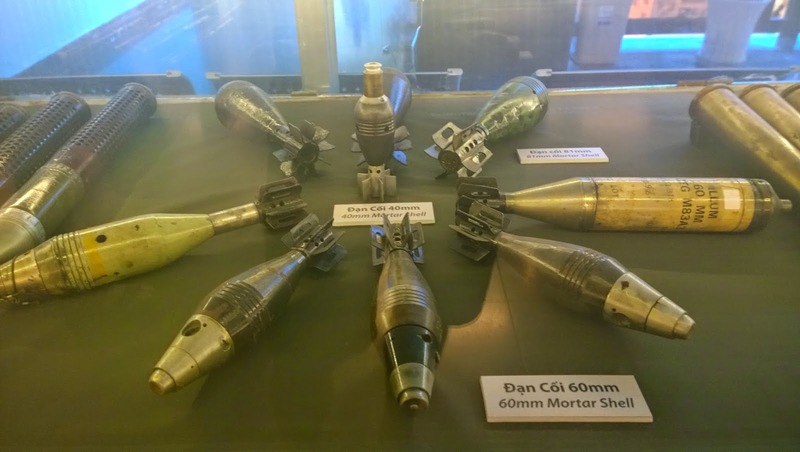 Assorted mines used in the Vietnam war. 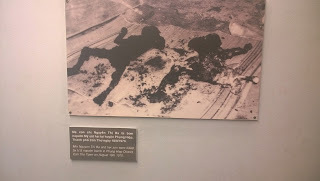 Victims of phosphorous bombs and napalm. 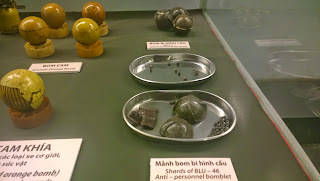 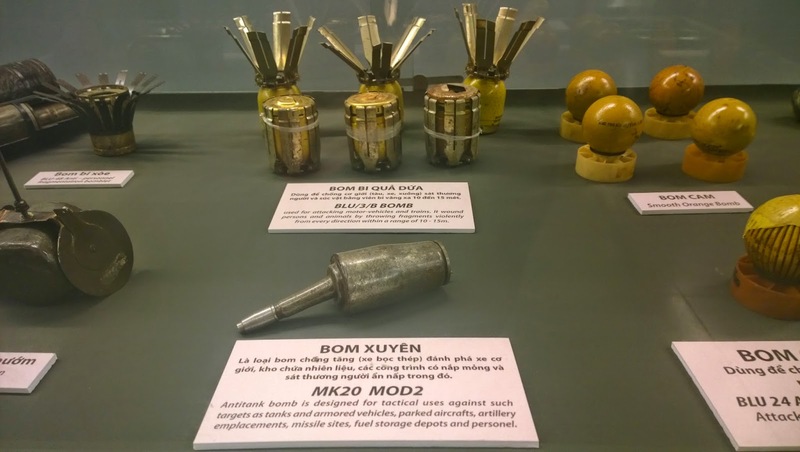 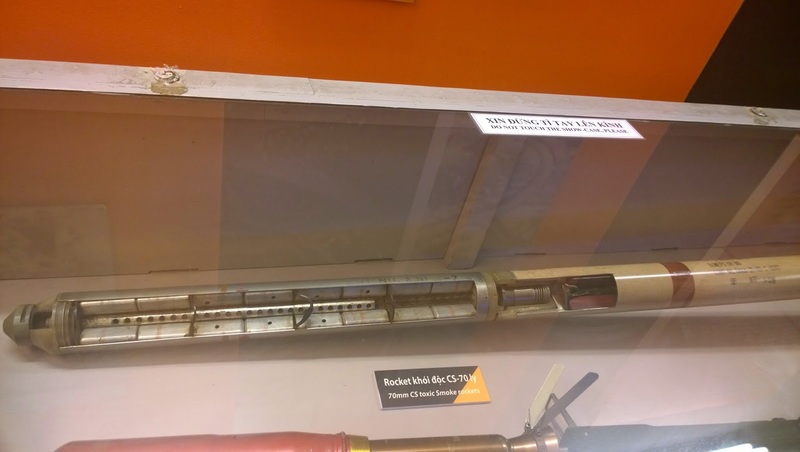 Different types of bombs used. 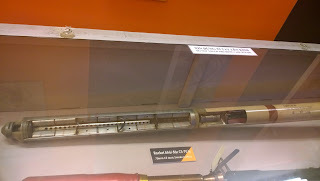 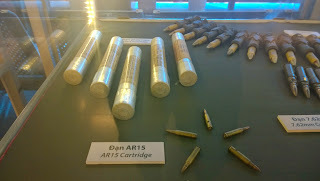 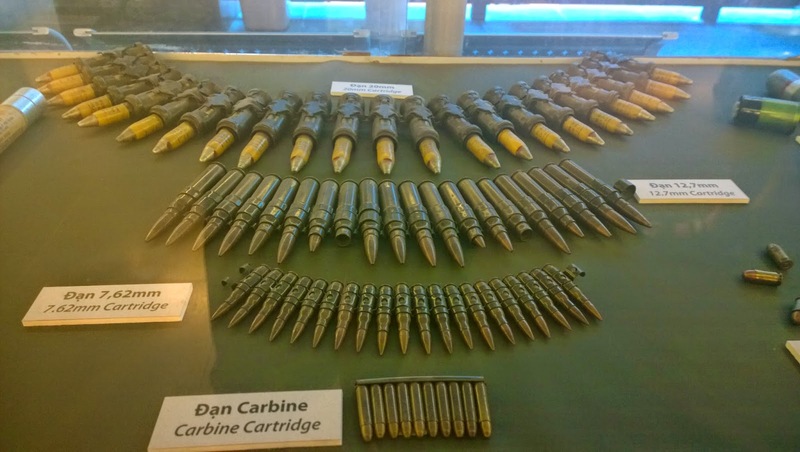 Different types of shells, and cartridges used. 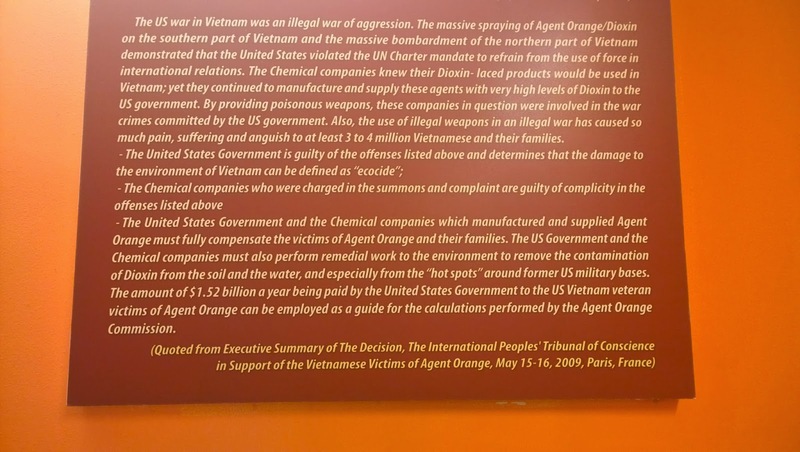 I know there are a lot of text on some of these pictures, but I would recommend that you open them fully and read them. 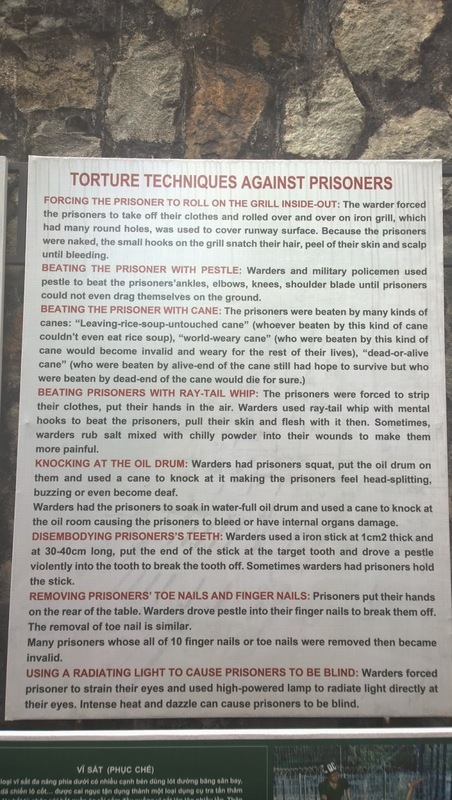 It is quite informative and horrifying. 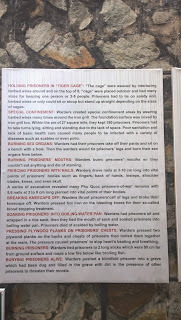 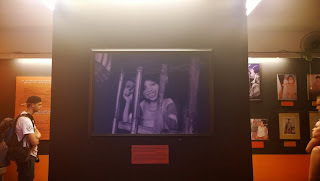 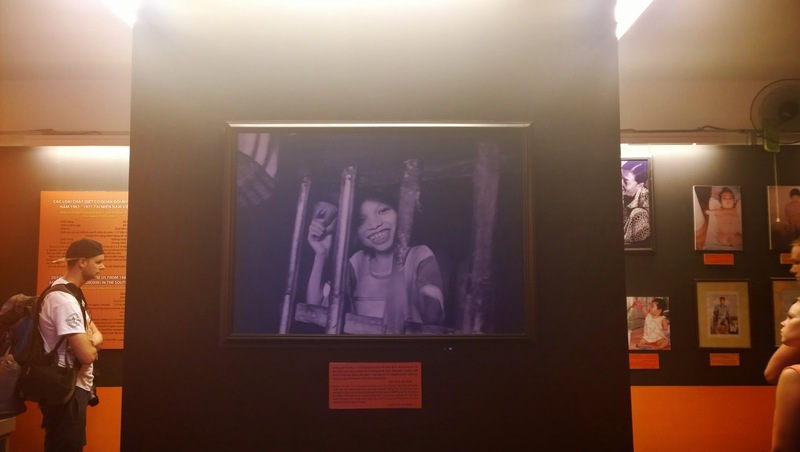 This is the plaque for the above picture, you should read it, it makes more sense then as to why the girl is caged. 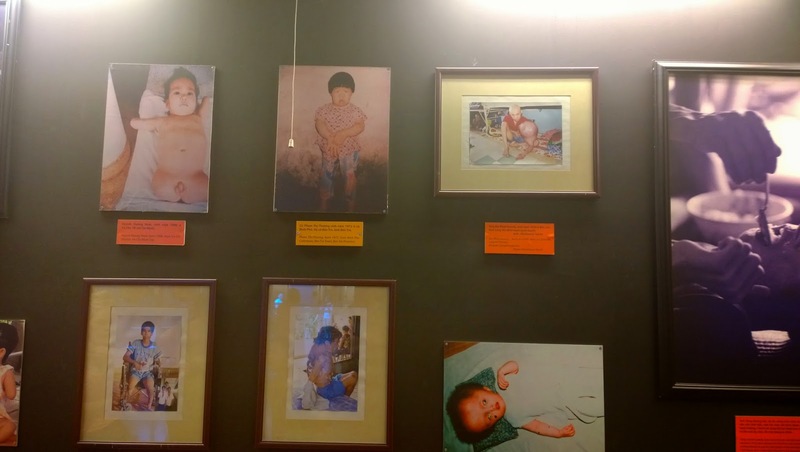 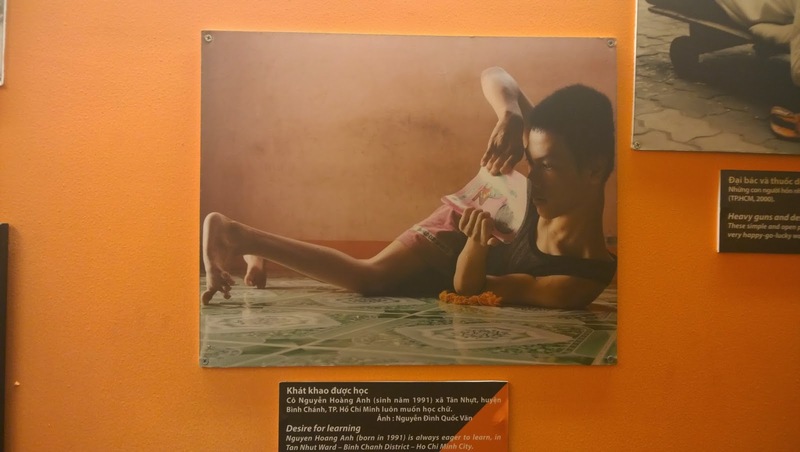 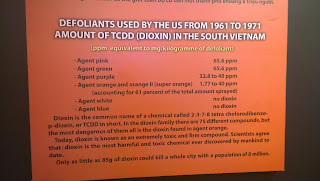 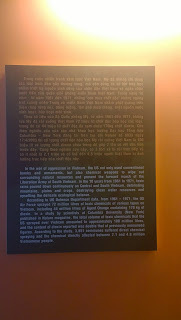 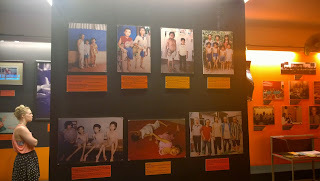 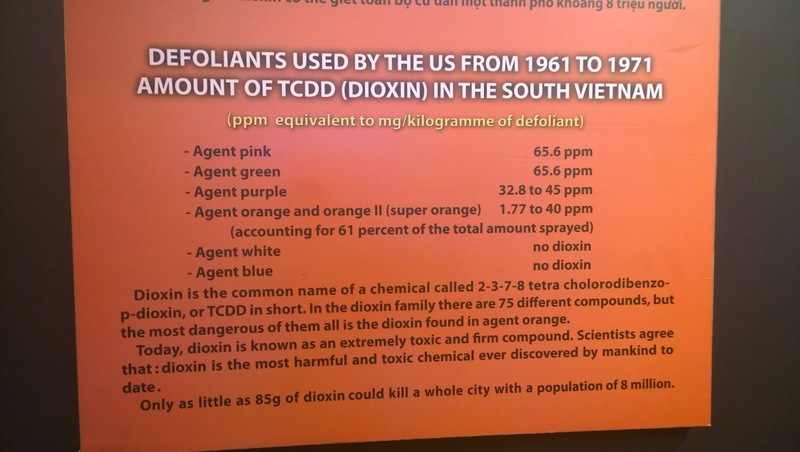 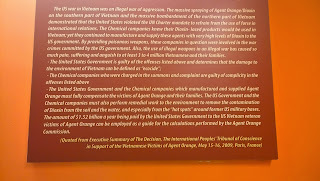 More victims of agent orange, birth defects because of the poison. 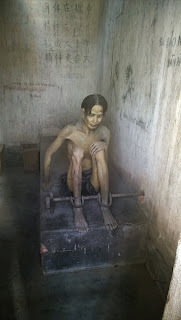 In the museum they also had a replica of the prisons used during the war. 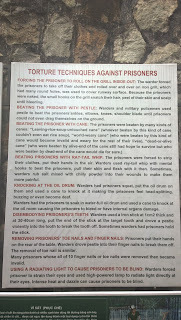 Take the time to read some of the torture techniques quite imaginative and terrifying. 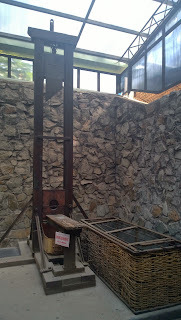 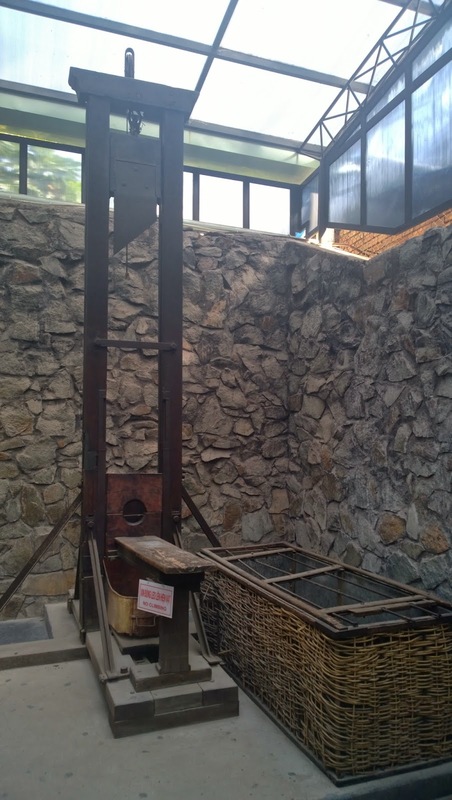 They had a guillotine, I think the last one to be executed by this machine here was in the 1960s something, or early 1970s. 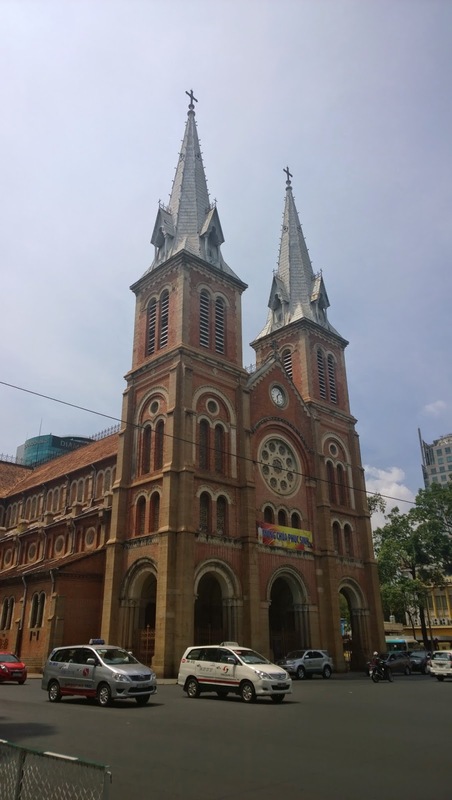 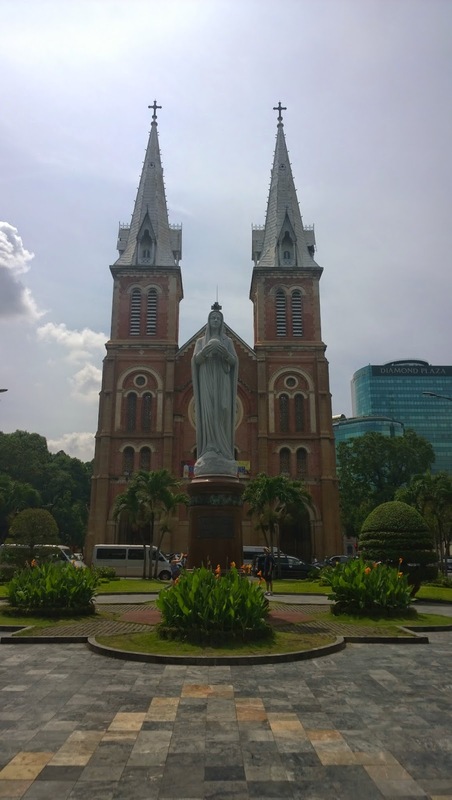 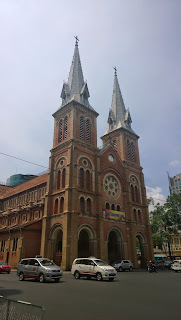 It wasn't all arms and armor in Saigon, this is the Notre Dame cathedral in Saigon. 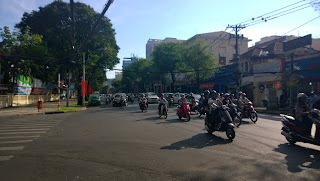 This picture doesn't really convey the craziness that is Vietnamese traffic, but it is a small taste. This I haven't seen since elementary school, kicking around a featherball! 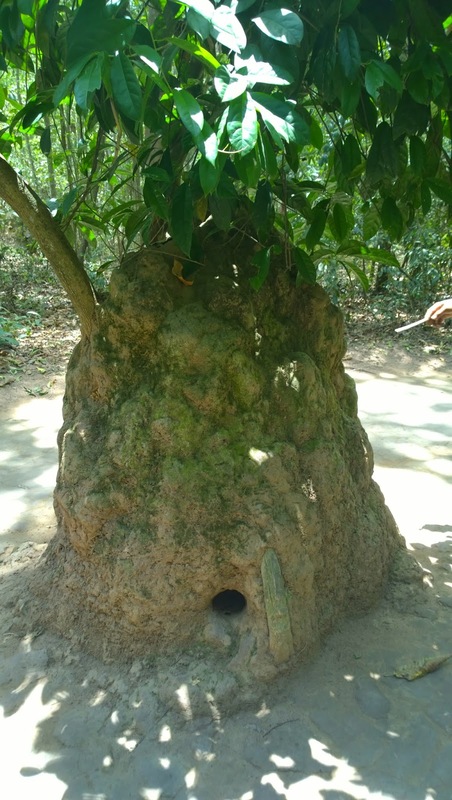 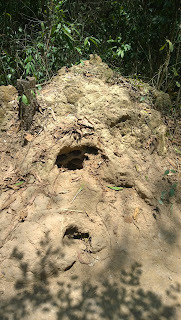 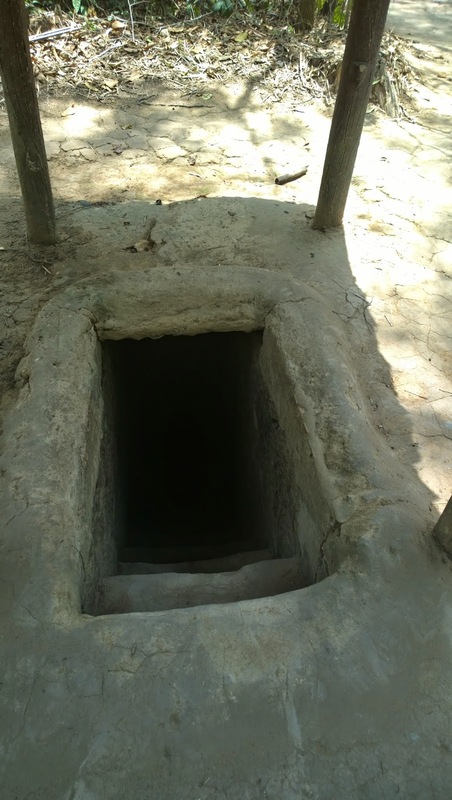 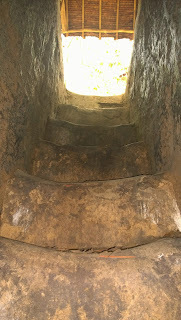 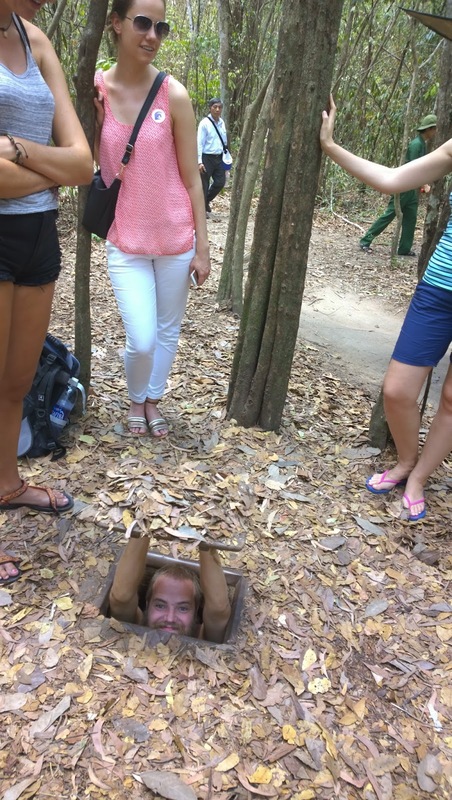 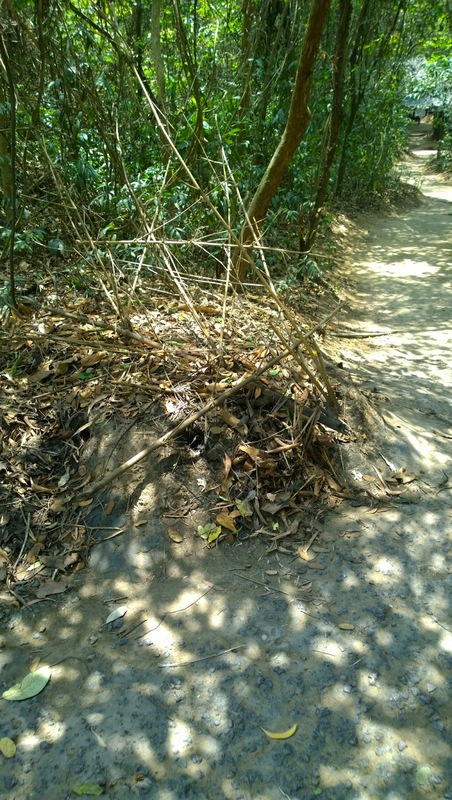 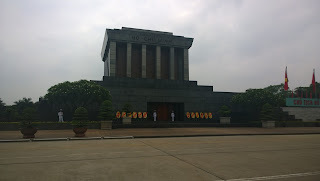 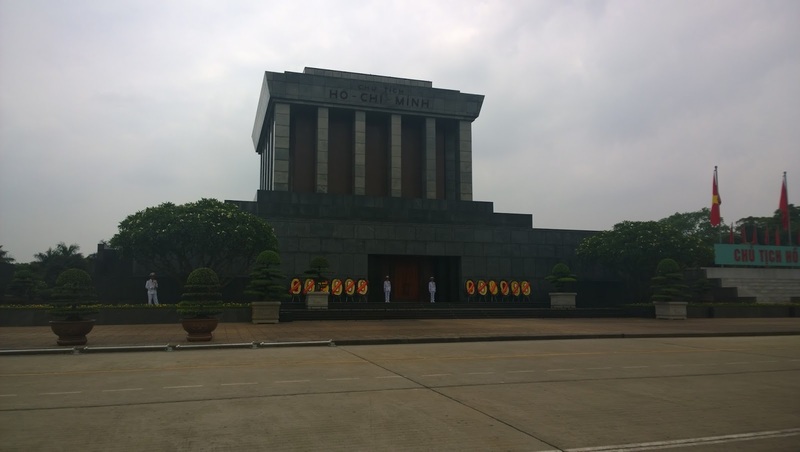 The tunnels used by the VC in Ho Chi Minh. Small hatch to get into the tunnels. 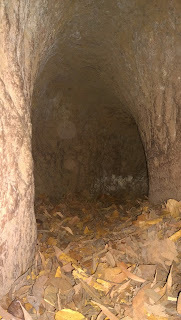 So yeah, this is from inside the tunnels, you had to be on all four, and it was pitch black, bring a flashlight/cellphone. 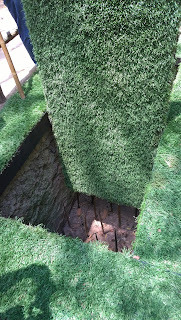 If you have claustrophobia, this is not the place to be. 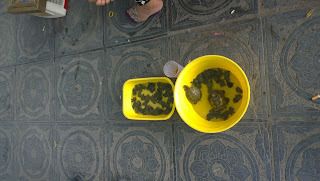 It was like 10-15 meters to crawl in total. 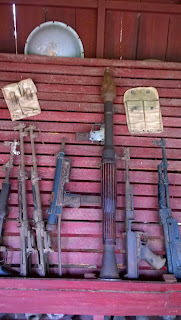 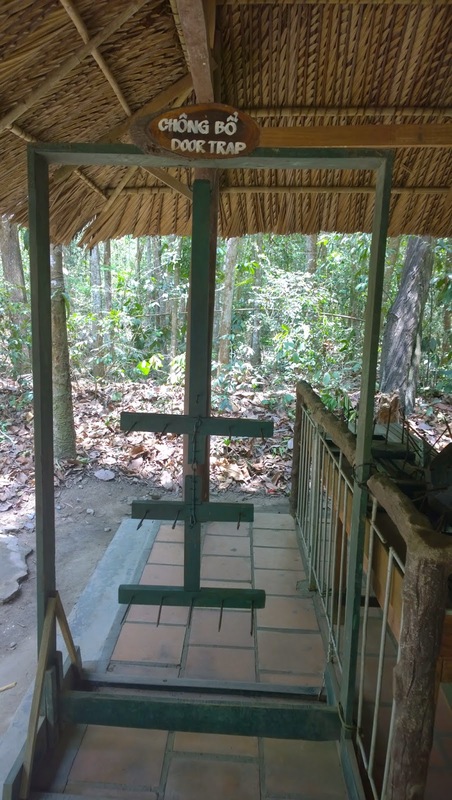 Traps used by the VC. 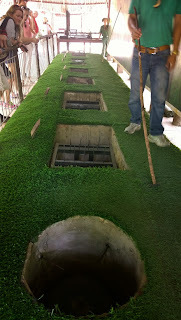 Venting hole for the tunnels. 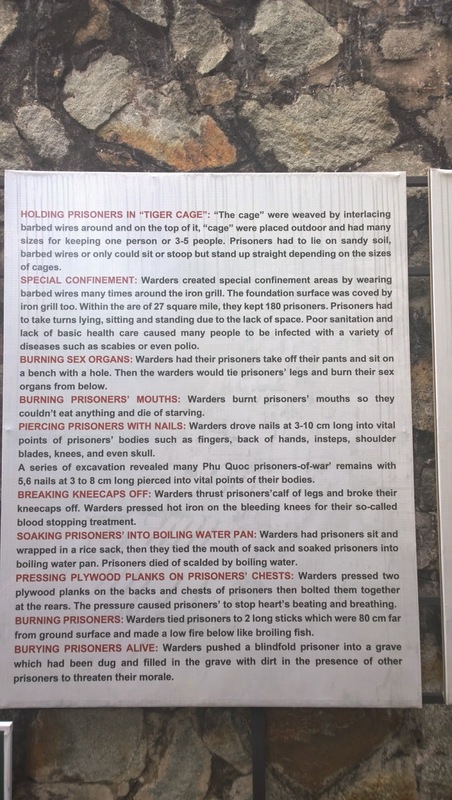 Different types of traps used. 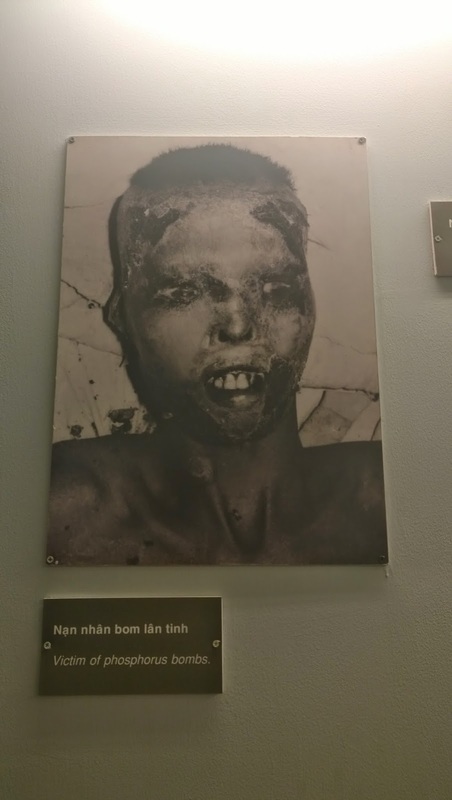 If you kicked in the door, you would get this straight in your face. 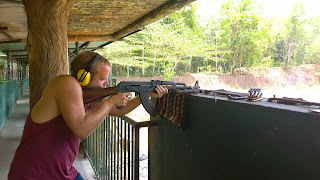 Expert marksman right there. 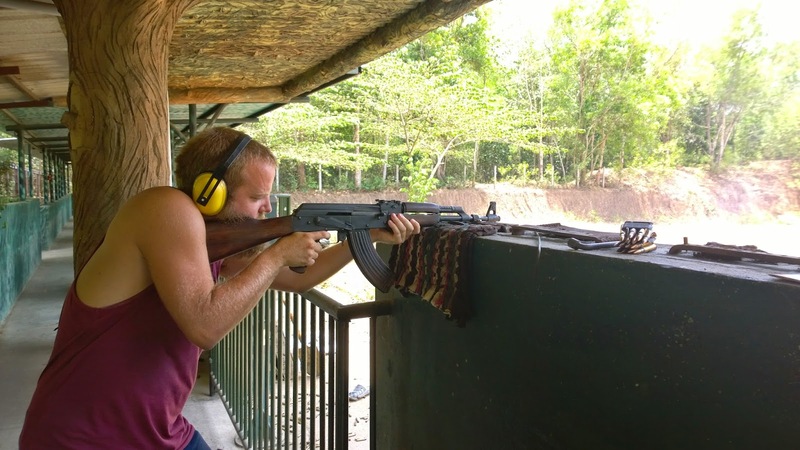 The AK was kinda boring to shoot, should've gone for the M1. 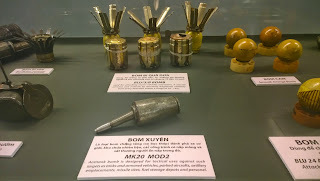 made much more sound! A kitchen down in a bunker. 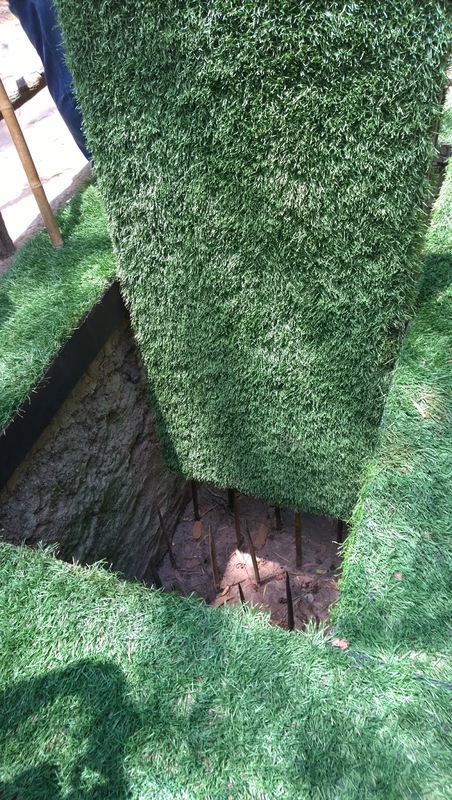 This is the chimney, and it is several meters away from the actual bunker so they can't use the chimney as target for the actual bunker. 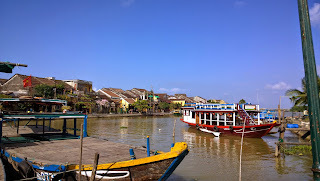 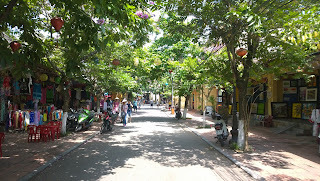 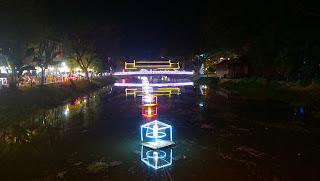 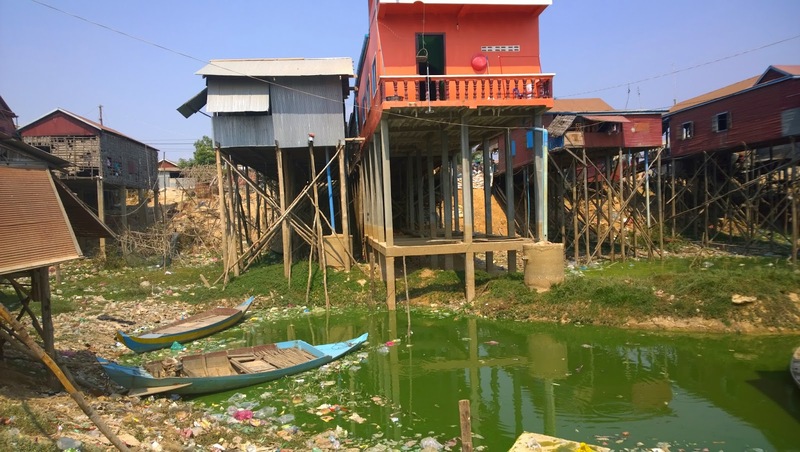 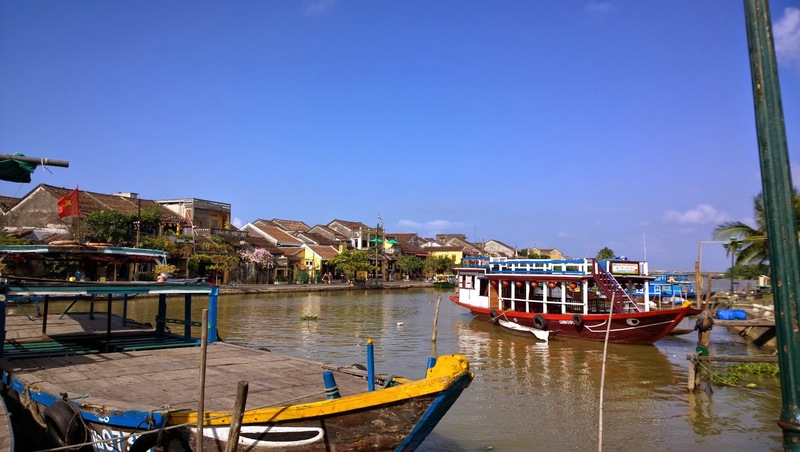 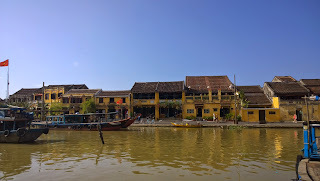 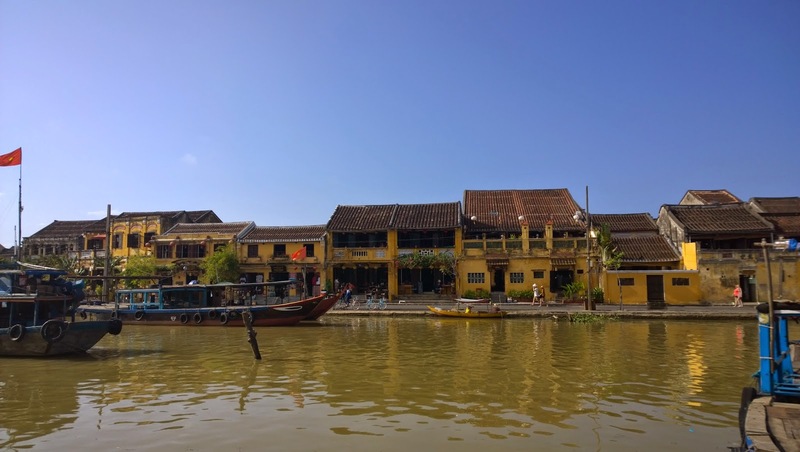 Vietnam isn't all war and grief, after Saigon I went to Hoian, a beautiful city where the whole city center is on the Unesco world heritage list. It is beautiful! 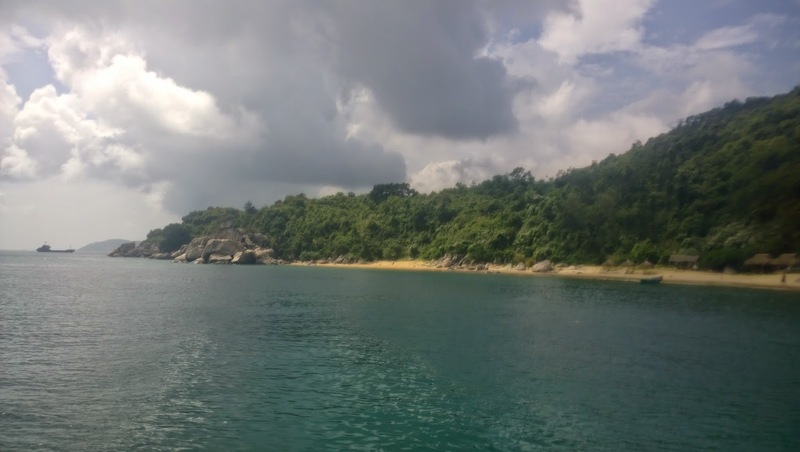 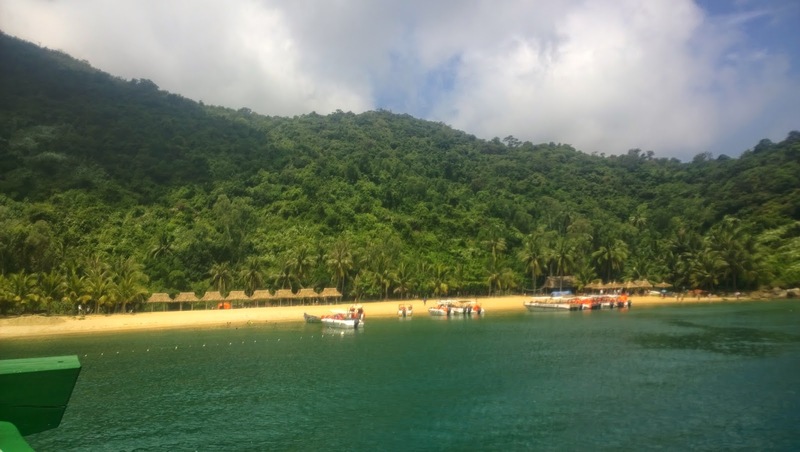 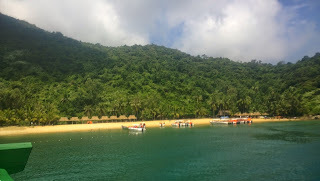 I went for a couple of dives as well, and this is the islands where we had our lunch. 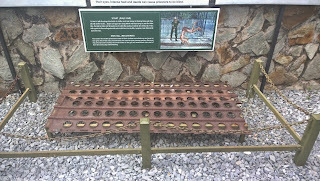 The dives themselves were terrible though. So cold, and visibility was about 0. These are spiral corals, first time I've seen that. 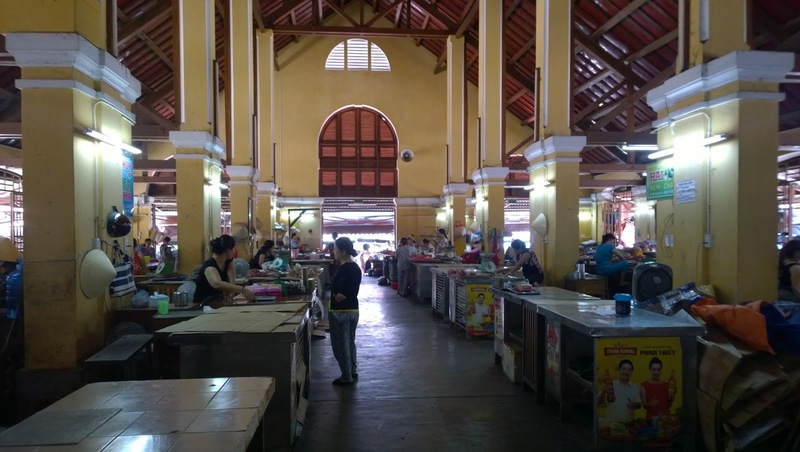 From inside one of the food markets. 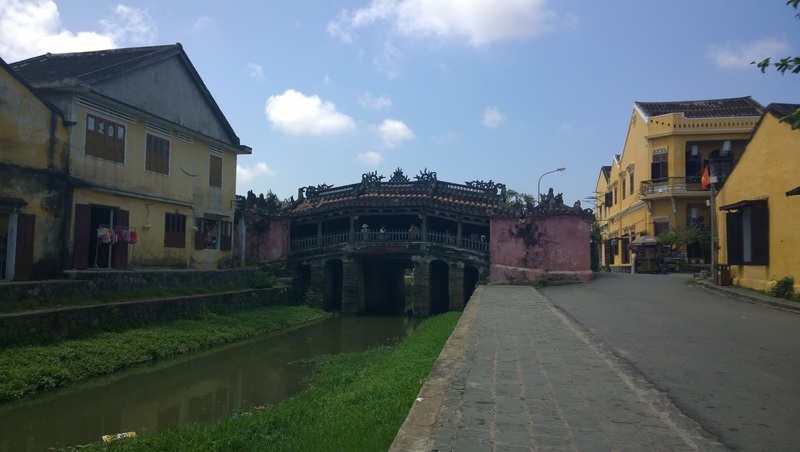 The Japanese style bridge in Hoian. 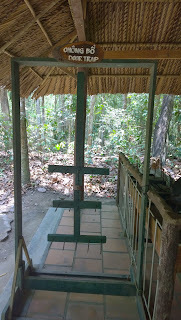 The shrine in the middle of the bridge. 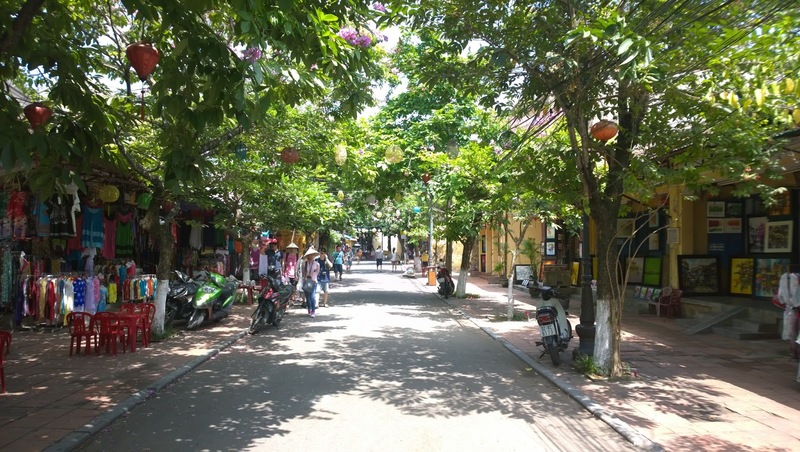 The streets here are beautiful. 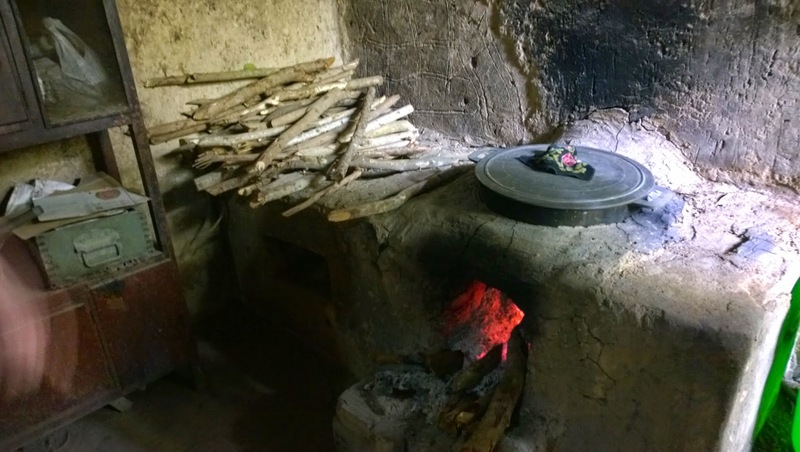 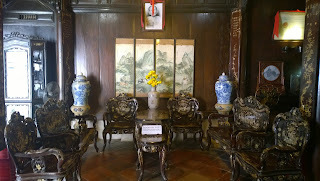 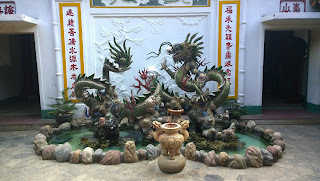 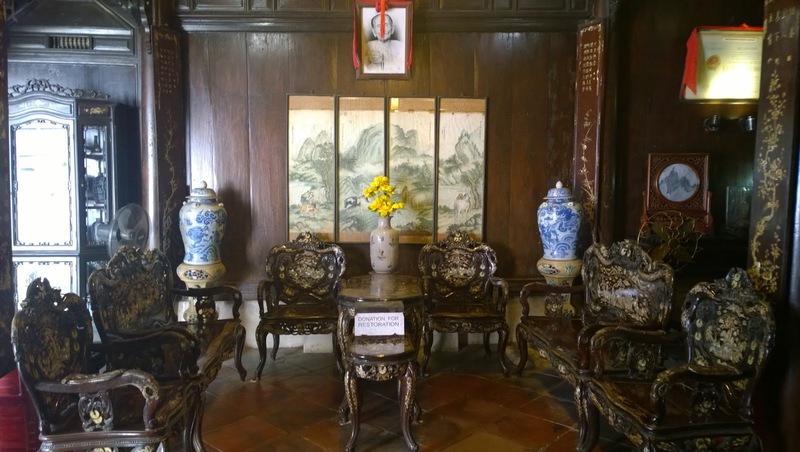 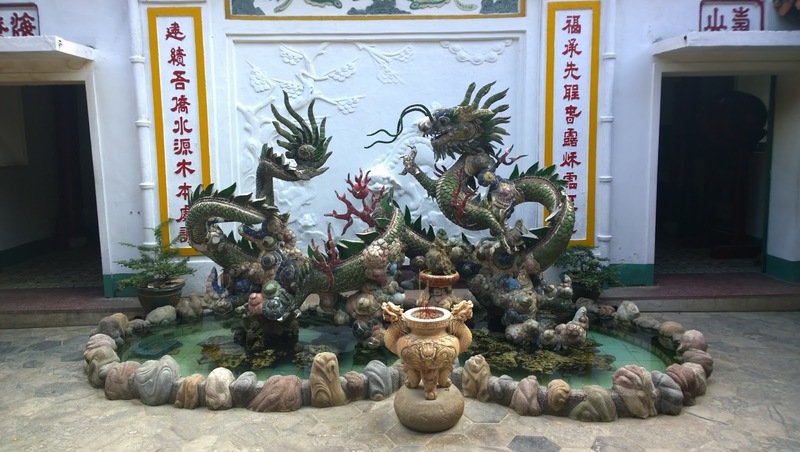 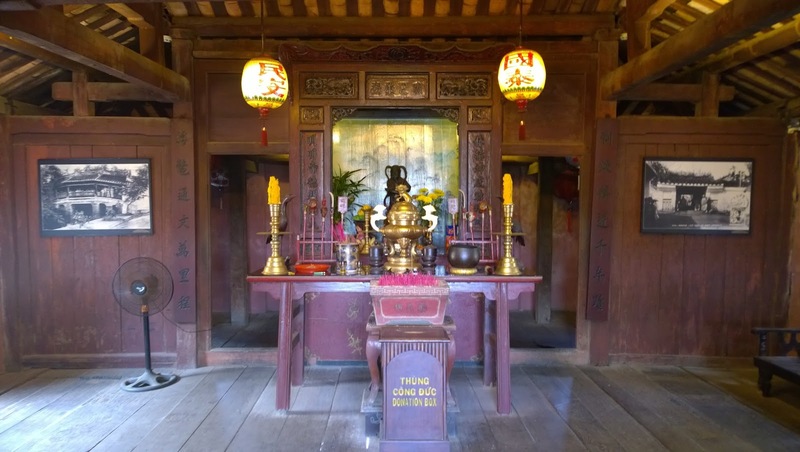 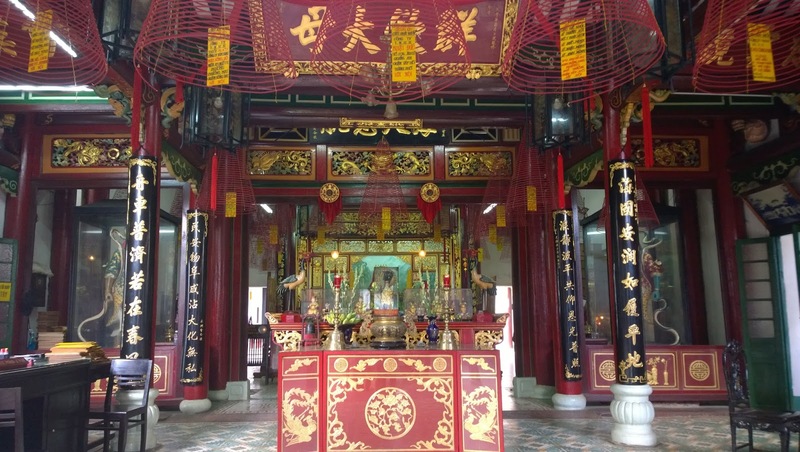 Here are some photos from inside some of the really old houses and temples scattered around the ancient town. 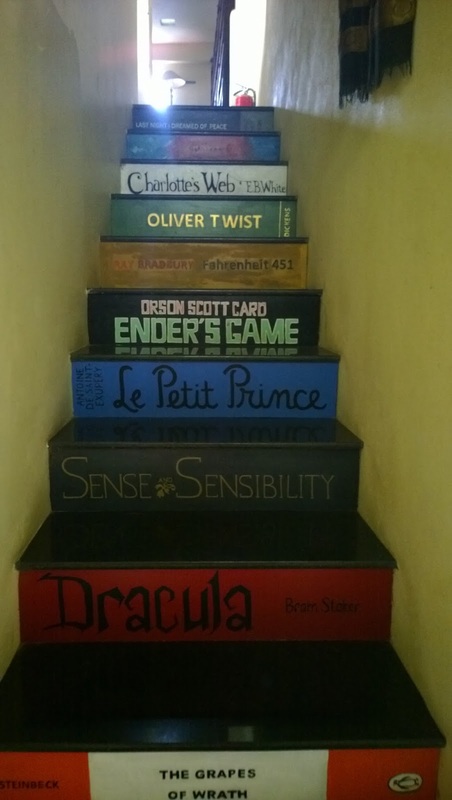 I found a cool bookstore close to my hostel, I love this staircase. 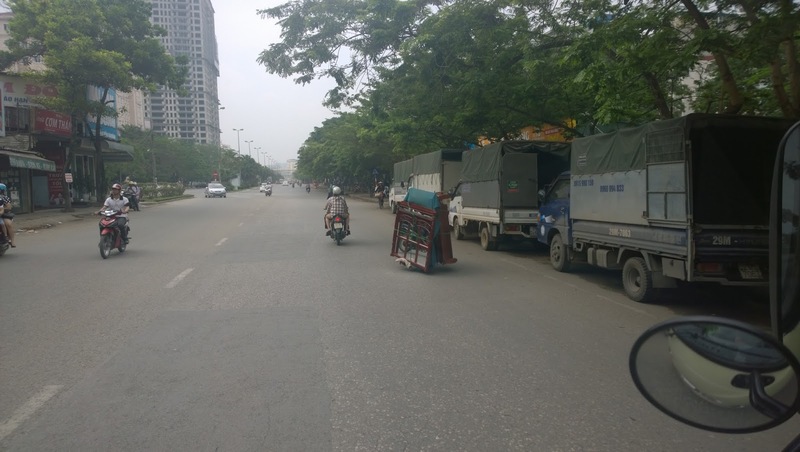 So yeah, most people don't have cars in Vietnam so they have to make due with the scooters, look at this guy transporting a large mirror ++ on the scooter, christ. 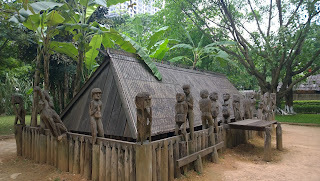 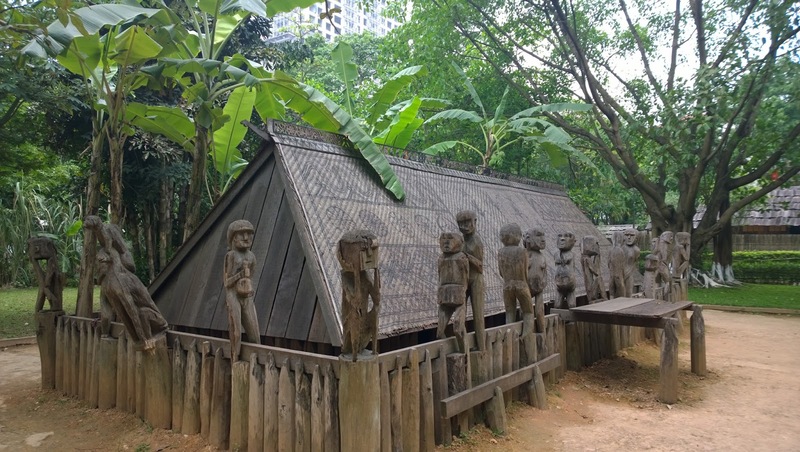 This is a burial house used by the old natives. 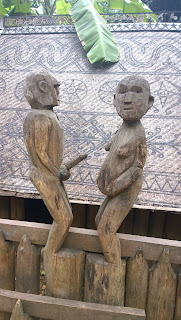 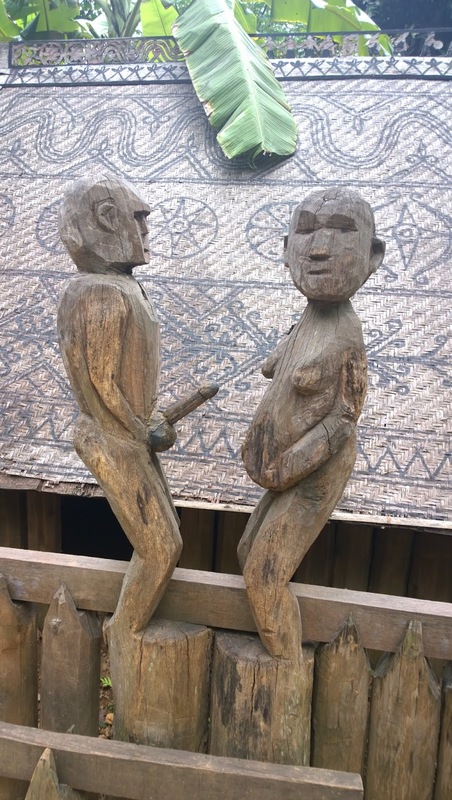 And they were perverts as well apparently haha! 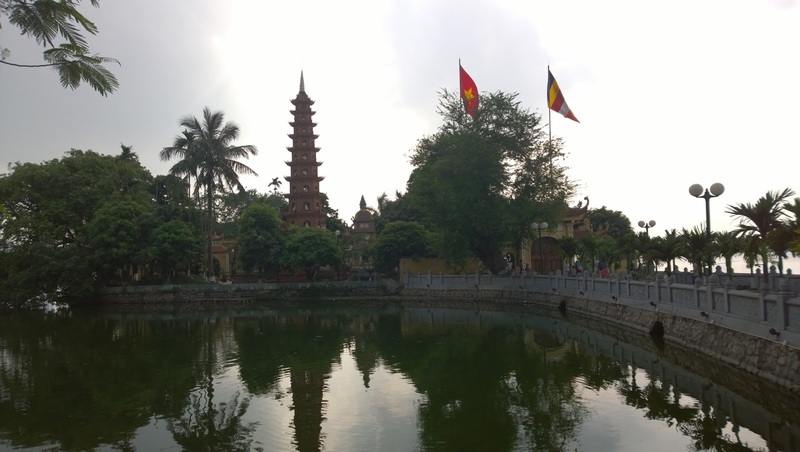 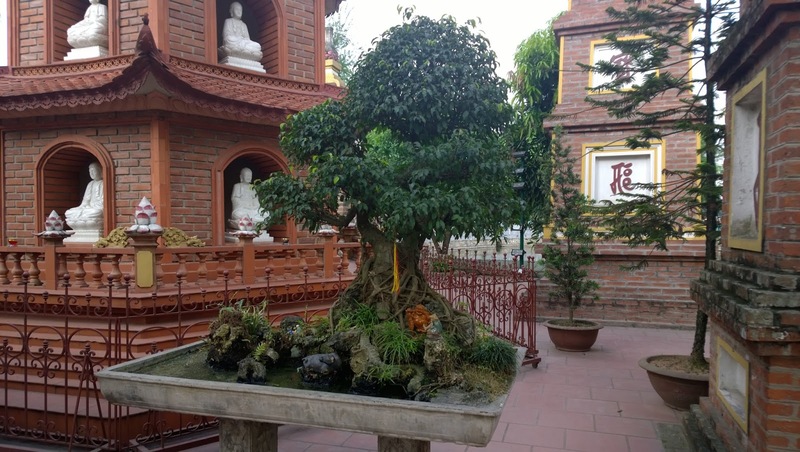 A beautiful temple in the middle of the lake in Ho Chi Minh, with some beautiful bonzai trees etc. 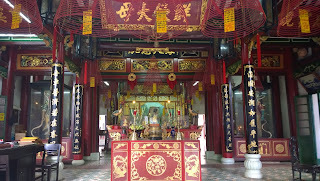 Prayer/chanting from inside the temple. 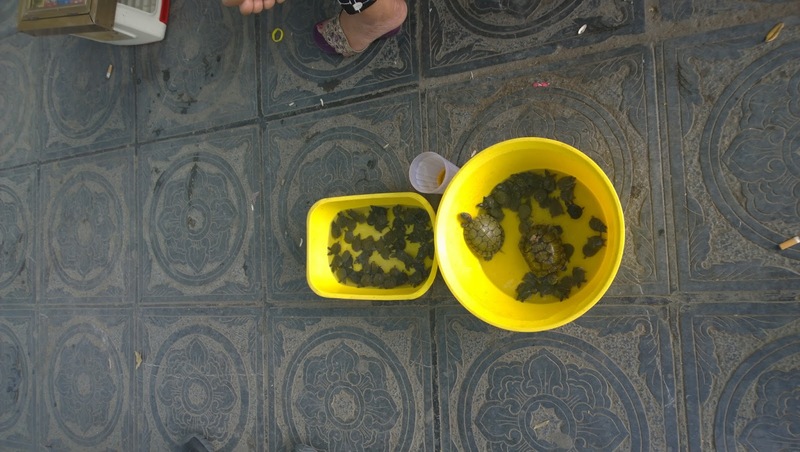 A lady selling turtles on the street. 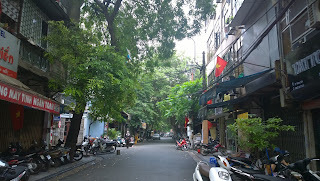 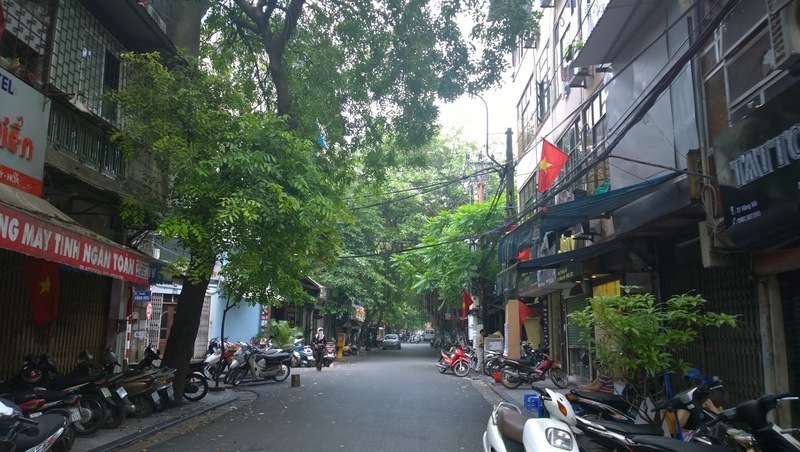 One of the streets in Ho Chi Minh, trees growing everywhere! That's it for now I'll try and get the update for HK, South Korea and Japan up asap!